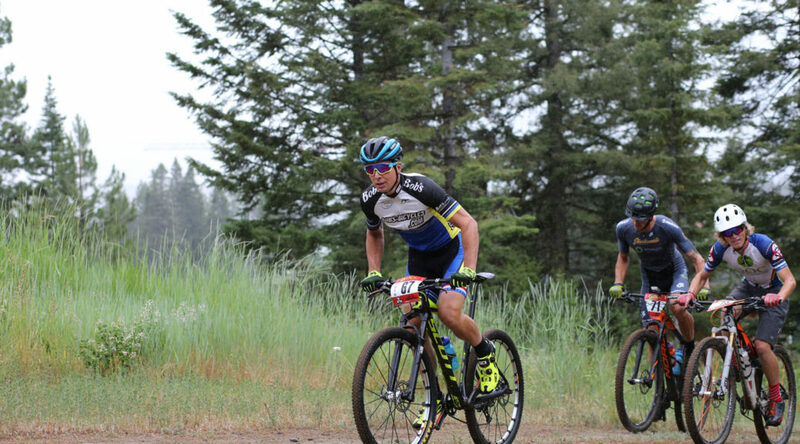 The resurrected Tamarack Twister brought XC MtB racing back to Tamarack, Donnelly Idaho, July 9, 2016. 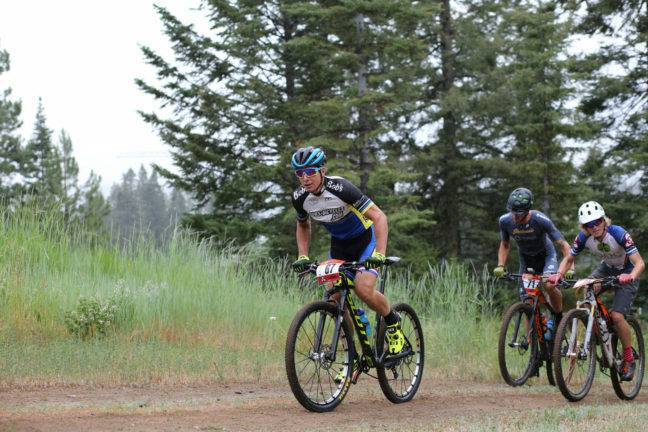 The Twister course utilized some trail segments that had been used in previous Tamarack XC races, but the course layout was new. The course begins with the shorter “Enduro Loop” followed by the longer “Forests and Meadow Loop”. Both loops start with the same “Bunny Hill” climb, and then proceed with varying challenges ranging from the “Enduro Descent” to the “Mosquito Forest Turns and Climbs” to the “Cobblestone Climb” to the “Hidden Trails” curvy descents to the rough “Wild Turkey” meadow meander. The course length is ~7 miles with ~1100 vertical feet, and the race length is a rather long 2 laps for Cat3, 3 laps for Cat2 and 4 laps for Cat1. Most of the climbs are wide enough to allow easy passing, and most of the rest of the course is single track until the boulevard return to the Start / Finish. 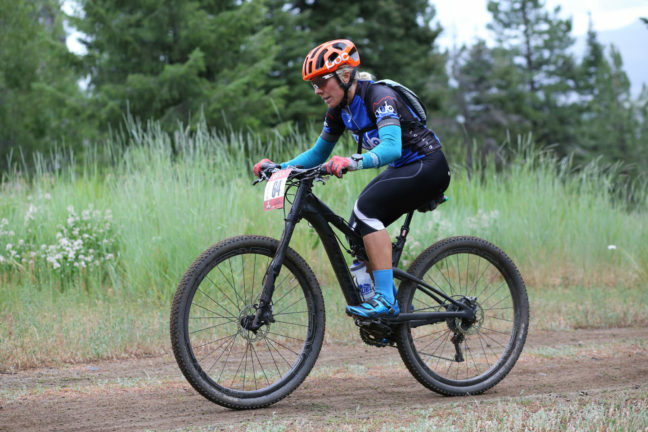 The course begs the question of “Hard Tail or Full Suspension?” I rode a hard tail, and for the first time in my four seasons of XC racing, both my water bottle cages came loose. Fueling and hydration are crucial to finishing strong in such a long race. Luckily, the weather was perfect for the race, ~60F and light rain. Typical mid-July weather would have been ~20F warmer, and this would have demanded twice as much hydration, ~4 water bottles. 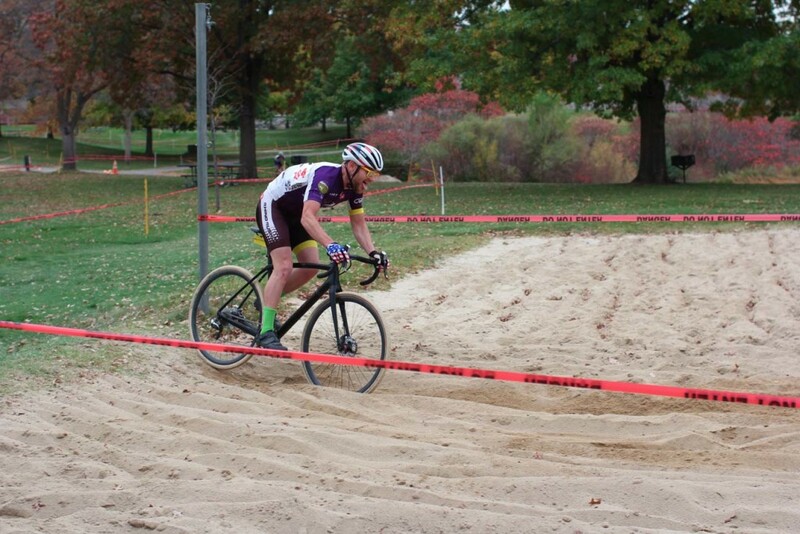 The moist, mostly firm course condition left all participants and bikes with a light humus coating. One big challenge for this race was the course was not marked until the evening before the race, and the map published in advance by Hal Miller was not particularly accurate. All participants were on equal footing trying to find the course on the first lap, one extra mental challenge I generally prefer to avoid. I and others attempted to find the course in the week prior to the race based on Hal’s map, and as far as I know, nobody succeded. I believe this was all in Hal’s plan. 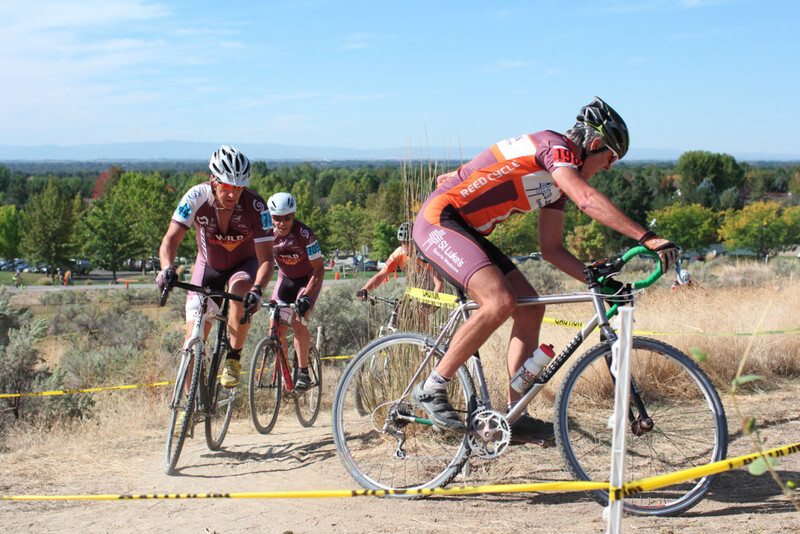 The course has enough vertical that climbers can gain significant time, and the course also features enough turn segments sans simple high speed descents that bike handling specialists can gain significant time. While the former characteristic is common, the latter is not, and this may be the halmark of this course. Much of the course is single track curves with visibility beyond the next curve obscured by forest vegetation and / or terrain. Constant concentration was required to react to the course, and the course was hungry to punish any lapse of concentration which became more likely with exhaustion in such a long race. Many riders showed signs of such incidents. So, this course offered a big advantage to not just bike handling specialists, but rather, bike handling specialists who excell on unfamiliar course for the duration of a long event. Jamey Yanik won by nearly 15 minutes, but this winning margin is a bit less than previous results from this year would predict, ~20 minutes. Those with above average climbing and / or bike handling skills were inspired by the course. The rest of us got our butts kicked by more than the usual amount, but we still had a great time on a great course that taught us how to go faster in the turns. Eric Chizum took 2nd place Pro/Open Male at 14:40 minutes back, Ian Mullens took 3rd place Pro/Open Male at 15:21 minutes back, and Alec Miller took 4th place Pro/Open Male at 17:22 minutes back. Both Pro/Open Females had race ending technical issues on the first lap. 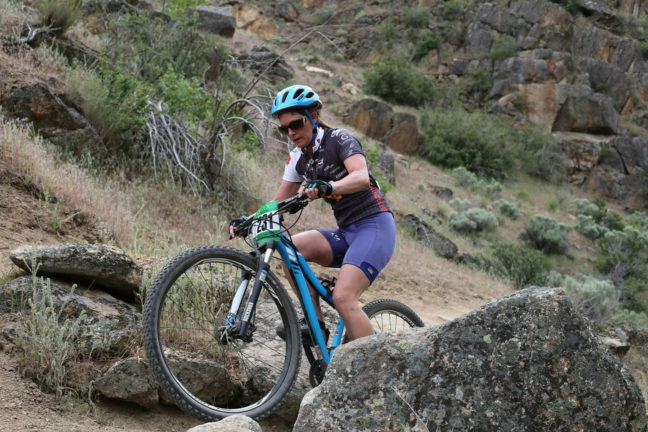 The course would have been 100% ride-able except a collapsed bridge forced a detour that began with a loose dirt and rock turn that was too tight to ride. It was not in this condition in the weeks prior to the race. Hal Miller, Alec “Miller-lite” and Alex Phipps put in a ton of work to bring the course to life. Much of the single track had become over-grown, numerous down trees blocked the course. This work was done purely for the reward of giving back to our cycling community. 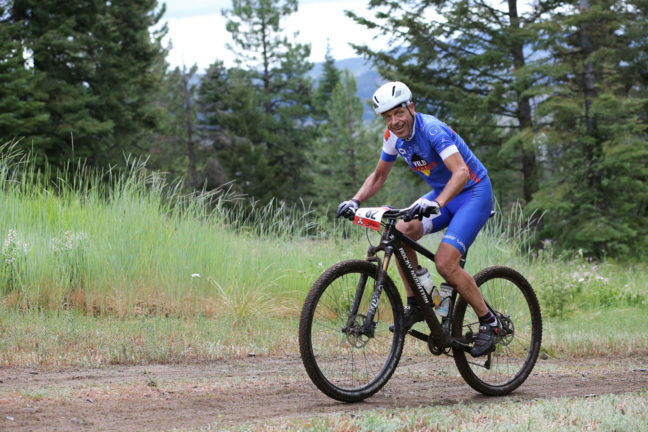 Wild Rockies Race Team represented with 4 participants: Fritz Stafford 2nd place Expert M50+; Andy Kemp 3rd place Sport M50+; Daryl King DNF Sport M50+; Steve Chafin 1st place Beginner Male. Michele Swan provided expert photographer services (i.e., click or tap on the “Photo Galleries / 2016 Tamarack Twister ” main menu item). The photographs included in this article were taken by Michele Swan. To view / copy the full resolution available in these “quarter resolution” images, set web browser to full screen, click or tap the images to bring-up the attachment page, click or tap on the image size icon located between the image title / filename and the image (e.g., 1440×960), clicking or tapping the image a second time may be necessary to view the full size image (depending on display size), and then right click on the image to copy (on a PC). Instructions to purchase the full resolution photos are available at Fitness and Grace Photo. The weather was perfect, upper 60s F at the start. There was a threat of showers, but none developed during the race or post race festivities. The partial overcast conditions were ideal for race photography minimizing shadows on the rider’s faces. The course condition was excellent, mostly dry and firm dirt with no mud. 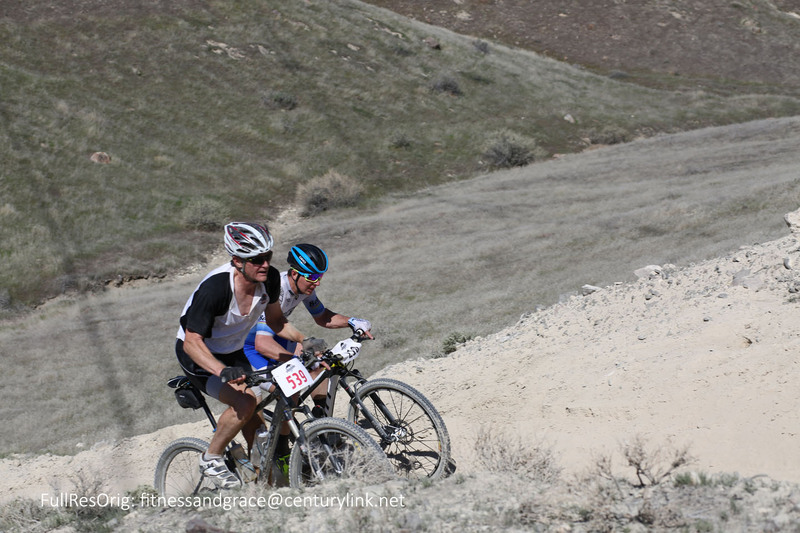 The Coyote Classic courses provide unique challenges for all levels of racers, long tough climbs mixed with and / or followed by innumerable technical features, many of which are ride-able with practice, but some that are best taken on-foot by most. The Pro Open/Cat 1 course begins with a loop around the shorter Cat 3 course followed by a loop around the longer Cat 2 course amounting to 23.7 miles and 3250 vertical feet. 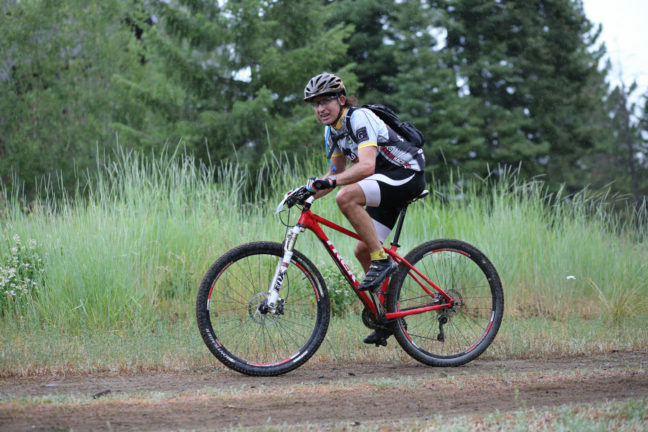 The courses are mostly single-track with much of it being true single track (i.e., no room to pass), and there are plentiful cows, as the courses are located on a healthy cattle ranch. Some have called this race the “Cow Path Classic”, as this is the origin of some of the trail constituents. It is amazing that animals that are ~4 feet in diameter are able to create paths <6 inches wide on steep side slope creek banks. I had close encounters of the "Big Cow" kind during a training ride and again during the race, and in both cases there were riders on my wheel who had even closer encounters. The cows add several features to contend with ranging from cow pies and soft dirt wallows in the middle of the trail to cow hoof print roughness on many trail segments that make the case for suspension. There are three distinct ecological habitat zones between the bottom and top of the course, each with flora that was in full bloom for the race, but there is poison ivy in the riparian areas. There are also tremendous bird watching opportunities throughout the courses ranging from raptors (hawks, owls, eagles, osprey) to finches and other songbirds (red polls, siskins, juncos, tanagers, gold finches, hummingbirds). The shorter Cat 3 loop begins with a “prelude” climb up to the water tower saddle followed by a twisting single track descent into the main Cat 3 climb. The first half of this climb along Broken Horn Creek includes several technical features and an ~100 meter technical section that dismounts most riders. The climb then continues through the Hills and Dales section with several steep rough two-track dirt climbs. Most racers push to the red line throughout the climb, and this makes it difficult to refuel and hydrate adequately prior to the flowy but feature filled ~3 mile descent along Spring Creek to the start of the longer Cat 2 loop. 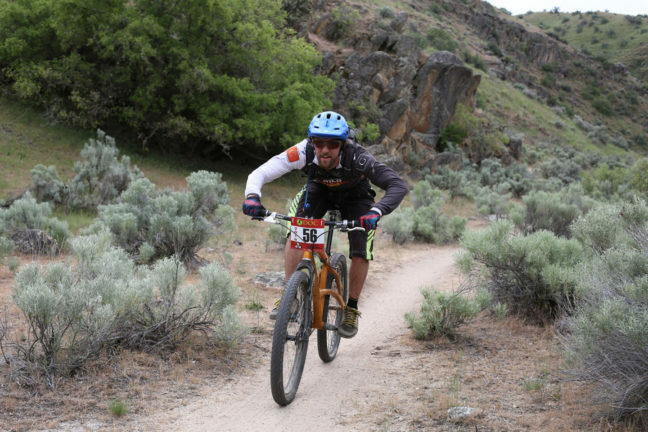 It seems the Pros and top experts lap through the start / finish area with little sign of exhaustion, but the normal human experts show varying degrees of exhaustion-anxiety as they anticipate the very difficult Cat 2 loop. This loop begins with the ~1+ mile medium grade Shooting Range climb. It is important to fuel / hydrate over the top of this climb in anticipation of the long upcoming climbs. Then come a close spaced series of technical features on the way over to, across and down Bovine Creek ravine. The area where this ravine expands into meadow is known as the Bone Yard portion of Bovine Nirvana (if you see it, you will know why). Then comes the ~1.5 mile Bovine Nirvana climb up to the main Willow Creek climb. This Bovine Nirvana climb has some steep sections, but it is the copious hoof print roughness that make the Bovine Nirvana climb demanding. There are a couple of short, smooth, wide hill top segments near the top that are the last fueling / hydrating opportunities prior to the main climb. The brief descent down to Willow Creek ends with a tricky creek crossing, which is the beginning of the next series of technical features along the lower half of the ~4 mile Willow Creek climb. This section of the climb is only medium grade, but the narrow trail, technical features and exhaustion combine to make it difficult to ride efficiently, especially in anticipation of the steep ~2 mile finish of the climb. Then comes a ~100m false flat respite where the trail widens to allow one final fueling / hydrating opportunity, but then the trail narrows to ~6 inches for much of the duration of the steep two mile finale climb. The climb is steepest before the ridgeline, and this is where the bonking and / or cramping occurs, but when you get to the ridge line, you quickly find there are several more short steep sections before reaching the top. Ironically, the last ~1 mile of the climb where the suffering is greatest is the most beautiful / unique habitat portion of the course. Wild flowers not seen elsewhere on the course were in full bloom, raptors were soaring. The local geography / topography creates a micro-climate that spawns thunderstorms that keep the area wetter longer into the summer dry season. The ~4 mile high speed 2-track dirt road descent down to the top of the second pass down Spring Creek is not difficult, but it is possible to miss turns, and this year there was a detour at the end that I was vaguely aware of, but had not seen. Course familiarity is beneficial. The main feature of this section is the high speed roughness that again makes the case for suspension. 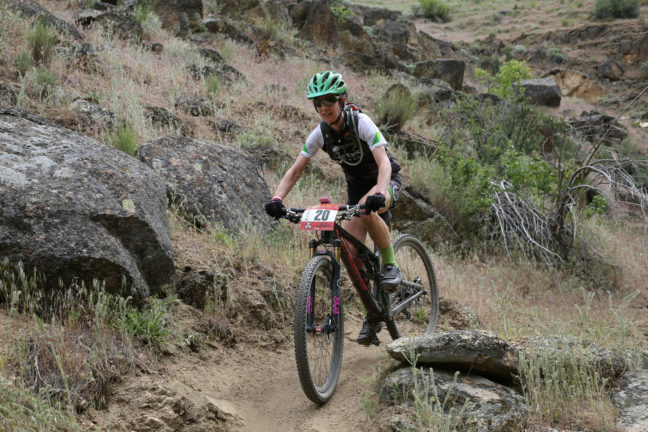 The main issue with the second descent down Spring Creek is to maintain focus under exhaustion and not make any mistakes, while not being overly cautious and losing time to the competition. 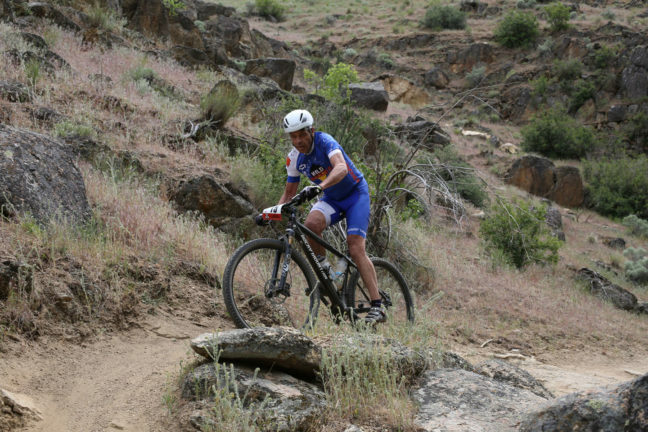 XC MtB events have been in decline in recent years both locally and nationally due to decline in participation rates. The 2016 Coyote Classic had a very sustainable participation rate, and very strong fields at all levels but especially the Pro level. The later was no doubt aided by Trailhead Chiropractic’s sponsoring of the Pro purse with equal payouts guaranteed to both the female and male Pros. 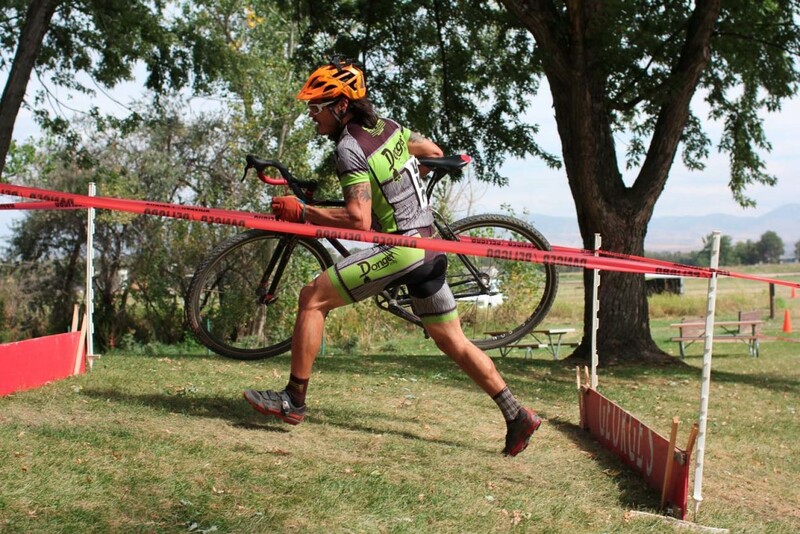 Jamey Yanik continued XC MtB dominance by taking 1st place Pro/Open Male freshly adorned with National Championship stripes for his 4x current National Championships (XC and STXC Mountain Bike and RR and TT Road Bike). Michael Tobin was 2nd place Pro/Open Male at 8:00 minutes back, and Cary Smith was 3rd Pro/Open Male at 8:40 minutes back. Lucy Collins was 1st place Pro/Open Female, Michelle Byers was 2nd place Pro/Open Female, and Katie Clouse DNF (ankle injury). Wild Rockies Race Team was well represented with 8 participants: Dave Harrison 7th place Pro/Open Male; Raul Garcia 7th place Expert Male 40-49; Michael Wieser 3rd place Single Speed Open; Weston Wheat 4th place Expert Male 50+; Fritz Stafford 5th place Expert Male 50+; Ben Thomas 1st place Sport Male 40-49; Kari Jerome 4th place Beginner Female; Steve Chafin 2nd place Beginner Male. Darren Lightfield was present providing team support, and Michele Swan provided expert photographer services (i.e., click or tap on the “Photo Galleries / Coyote Classic” main menu item). Ben Thomas was ~25 meters behind Chris Edwards as he exited the final technical feature with ~1.5 miles to the finish. Ben was able to overtake Chris to win the Sport Male 40-49 race, and Chris had to settle for 2nd place. Competitor familiarity is beneficial. Preparing for a race takes more energy than you think. The training schedule for the preceding week has to be focused on race freshness. Race day has to be reserved for the race travel, race associated activities and the race, and this does not always coincide with the preferences of spouse, family and etcetera. Of course, the bike, spare bike / wheels, kit, back-up kit, hydration and feeding supplies, camera and etcetera all need to be prepared and loaded into the bike race vehicle. Even though it had rained over night, the 7:15AM report was that the course condition was adequate, and the races would proceed on schedule. However, the rain continued and intensified throughout the morning. I repacked my Prius to make room to put my bike inside so I could at least line-up with a lubricated chain. I knew it was a bad sign when I exited the interstate and immediately drove through a mud wash emanating from the dirt driveway of the fireworks warehouse. As I drove the three miles south on Simco road to the course, I noted the west wind was blowing steady at 20-25mph, and I told myself that 43F steady rain and 20-25mph steady wind might discourage some competitors, but not me. When I got to the course parking lot, I saw there were only ~15 vehicles when there should have been ~3x more. I parked just off the edge of the graveled parking area where I had parked the previous year. I knew it was a bad sign when I stepped out of my car into ankle deep mud in my sandals. The first race that started at 11:00AM was in progress on the last lap. As I walked toward the start / finish area, fellow competitor Connell Lloyd who had watched the first two laps pulled me out of the weather into the leeward side of the incinerator building to explain the course was too muddy, and there was no point in damaging equipment or health. Many of the other competitors agreed with Connell, and then there were only 7 vehicles in the parking lot. I continued toward the start / finish area, but I could see there was only one person present, and the few other observers were watching from their car or the office doorway, so I opted for the office to sign-in and pick-up my number. Most of the remaining competitors were in the office area, and they were all in various stages of deciding to not start their race. At this point, I had to start my race warm-up routine, or decide to not start. I opted for the latter, and it was the right decision, but I did not feel good about it. A few people did race. There were five competitors and 17 DNS in the Cat3 race; there were four competitors and 22 DNS in the Cat2 race; there were two competitors and one DNS in the single-speed race, which was included in the Cat2 race; there were four Pros (three men and one woman) and one DNS (one woman) in the Pro/Open race; and there was one competitor and 12 DNS in the Cat1 age category race, which was included in the Pro/Open race. I leave it to the reader to decide what this implies regarding differences between Pros and single-speed racers in comparison to the rest of the competitors. However, I will point out that the Cat3 competitors did not have the advantage of witnessing any prior race, nor as much experience as the rest of the competitors. Wild Rockies Race Team was represented by two Pros, Dave Harrison took 1st place, and Darren Lightfield took 2nd place, although Darren was passed by non-pro Frank Benzing with two laps remaining. Darren claims this was only possible, because Frank is feather weight who was able to float on top of the mud, while Darren had to plow through it. The weather cleared somewhat on the drive home, and I learned that it had not rained nearly as much up at our cabin in Garden Valley, so I decided to attempt to salvage the day with a ride on the dirt trails at our cabin. However, upon first taking the dogs on an exercise walk, I found that I was so exhausted I needed to take the day off. Michele was not available to take any race photos, as she and her sister who was visiting from back east were doing gourd craft at a gourd conference. 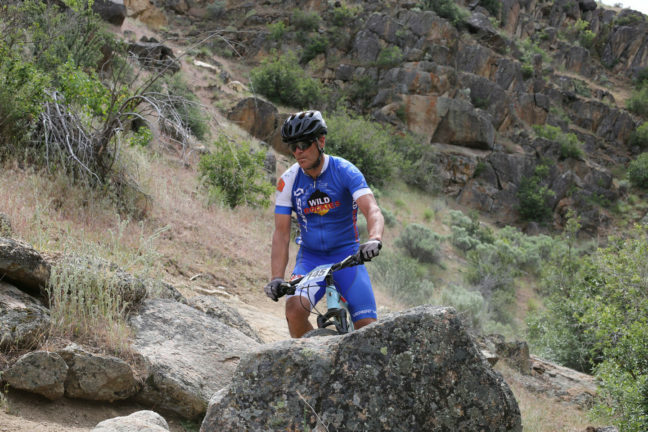 The weather was perfect for the inaugural off-road bicycle race of the Boise region 2016 season, sunny, little wind, low 60F at race start, 11:00AM April 9 at the Hemmingway Butte Off Highway Vehicle park. There had been adequate spring moisture, but the course had been softened by a combination of BLM excavations to improve drainage and an OHV event the preceding weekend. The result was lap time increase of ~7-10% for most riders. The 10 mile course consists of two loops, the first short loop includes a steep difficult climb that had previously been ride-able for most Cat1 riders, and a second loop that begins with a ~2.5 mile medium gradient climb and includes several short steep pitches. 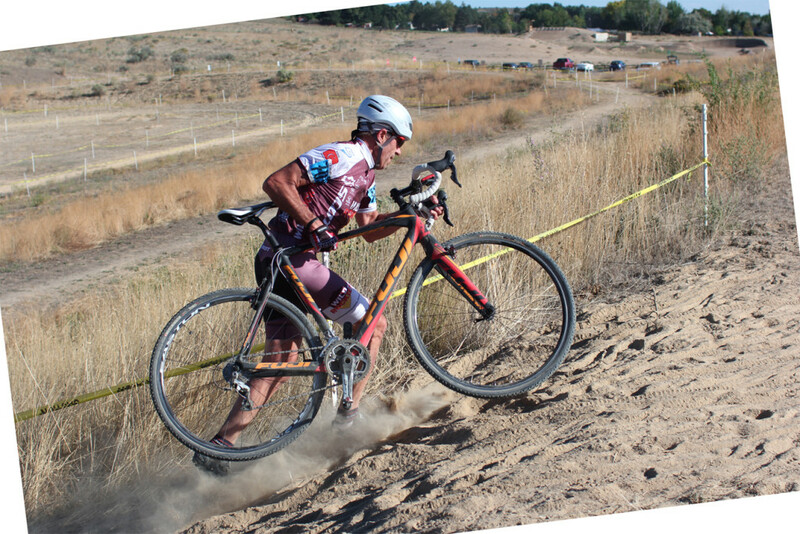 This year, the steep climb in the first loop was not ride-able for most riders, and the large meat ball size dirt clods made for slow exhausting pushing of the bike up the hill. The less steep first half of the ~2.5 mile climb in the second loop was made more difficult by numerous soft dirt sections. The second loop continues with a steep, curvy soft dirt descent into the nastier than ever entrance into the “skateboard park”, a continuously snaking ~1.5 mile narrow dry wash with ~20ft vertical rock walls on both sides. 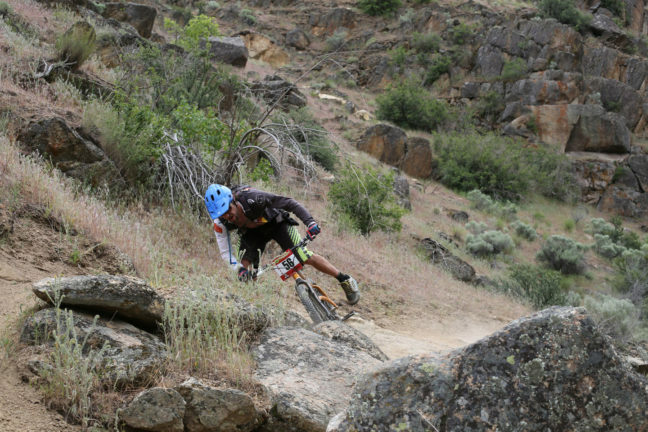 This nasty entrance has always begun with a narrow rock drop into a steep soft dirt slalom through several rocks before leveling out in the wash, but this year, a hole developed halfway down the slalom that grew with each rider passage, and this was the cause of numerous “endos”. The Cat1 racers ride three laps, Cat2 racers ride two laps and the Cat3 racers ride one lap. The Cat3 race could have been ridden without a water bottle, the Cat2 race demanded a full water bottle, and the Cat1 race required more depending on your time. 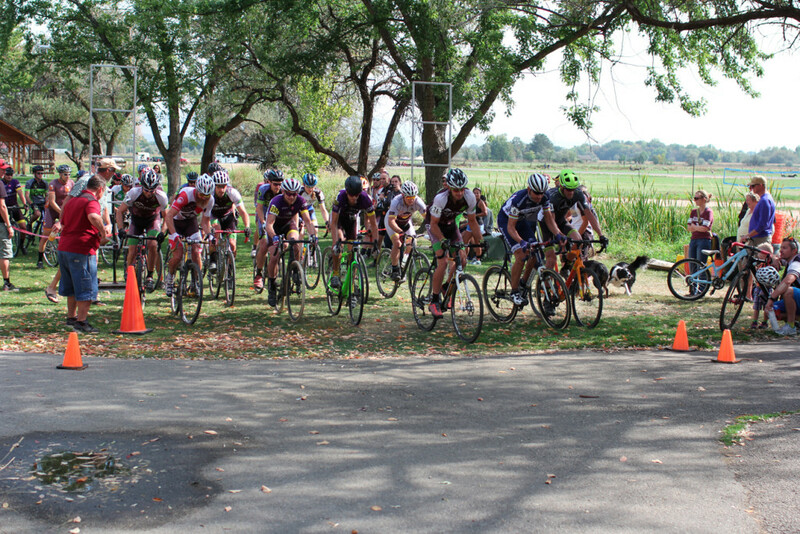 Many Cat1 racers faded in the third lap due to early season fatigue and / or lack of adequate hydration and feeding. The same course has been utilized for multiple years, but the skateboard park section changes every year due to erosion and usage (especially dirt bikes). Full concentration is required to find the most efficient route into and throughout the skateboard park, and lapses of concentration can occur with fatigue. This creates excitement for the skilled racers, and anxiety followed by gratification upon successful completion for the less skilled racers. Jamey Yanick who set the course record last year with a time of 1:36:07 successfully defended his title with a time of 1:41:00, and second place finisher Cody Peterson was 6:31 behind at 1:47:31, which was 1:52 behind his previous year finish. However, most Cat1 racers finished closer to 10 minutes behind their previous year finish. The Wild Rockies Race Team represented team and sponsors with 16 participants, 2 race organizers (Darren and Lorien Lightfield), a race volunteer (Bill Salter), the team director (Weston Wheat), and a side-lined team mate (Allis Ottey). Raul Garcia won the Sexiest racer award in his WR Race Team sleeveless triathlon skin suit. Dave Harrison finished 2nd in the Pro/Open class and 10th overall. 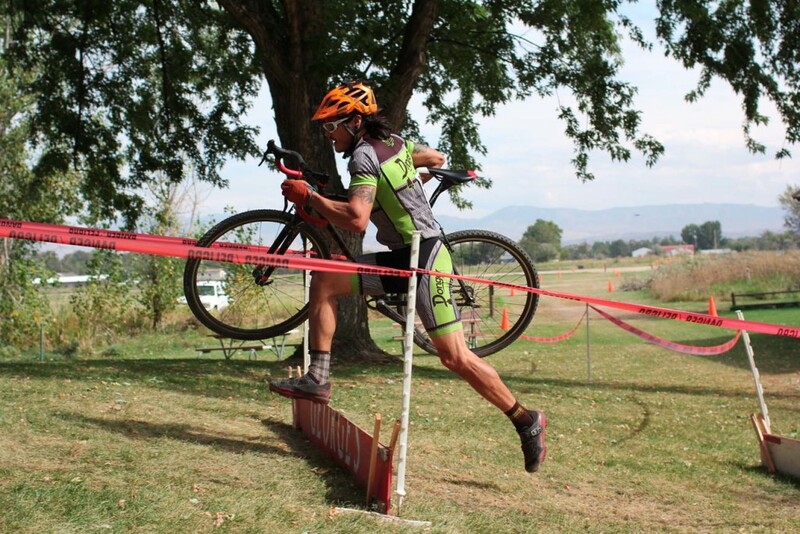 Raul Garcia finished 7th in Cat1 40-49 and 18th overall. 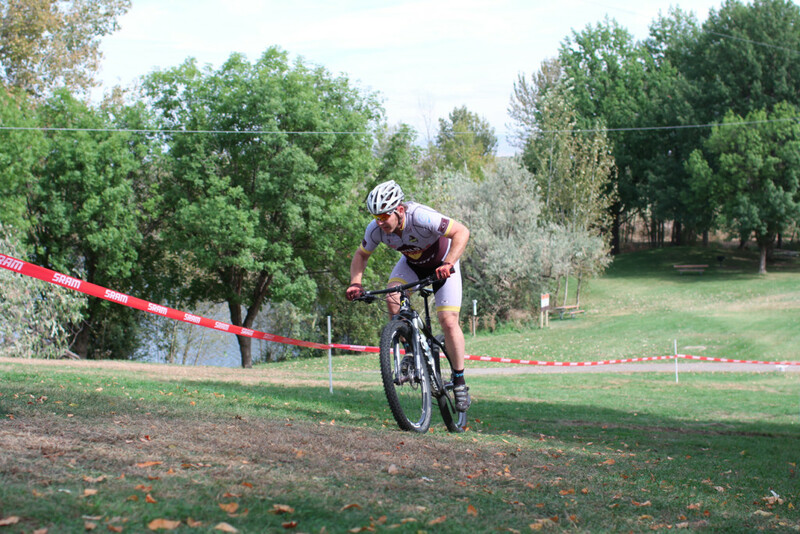 Mike Weiser finished 5th in Cat1 30-39 and 20th overall. Fritz Stafford DNF due to cracked ribs suffered from endo upon second entrance into skateboard park. 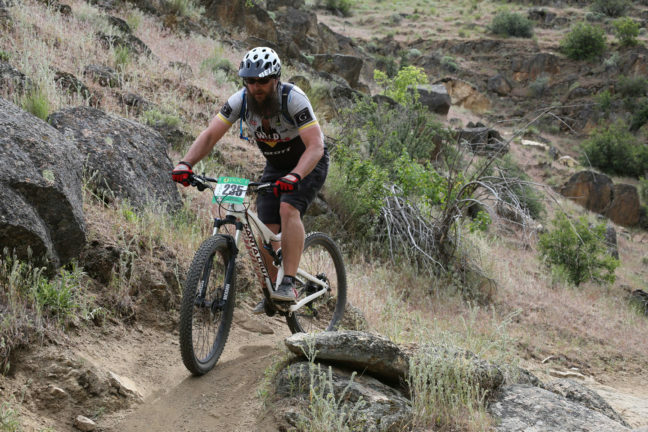 Jeff Coffman finished 2nd in Cat2 40-49 and 3rd overall in the Cat2 race. 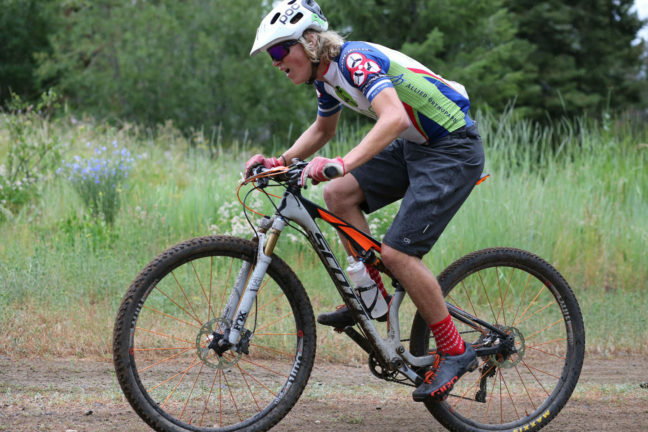 Ben Thomas finished 5th in Cat2 40-49 and 7th overall in the Cat2 race. 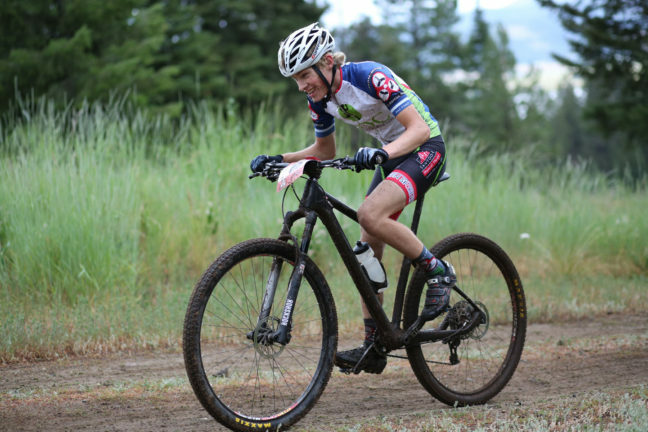 Dar Schmid finished 9th in Cat2 40-49 and 11th overall in the Cat2 race. 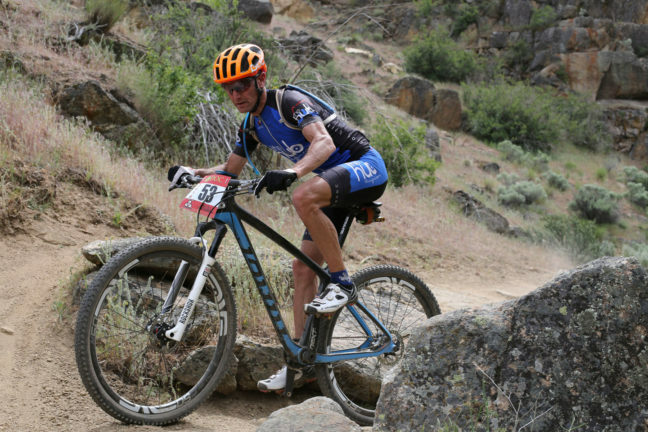 Andy Kemp finished 3rd in Cat2 50-59 and 26th overall in the Cat2 race. 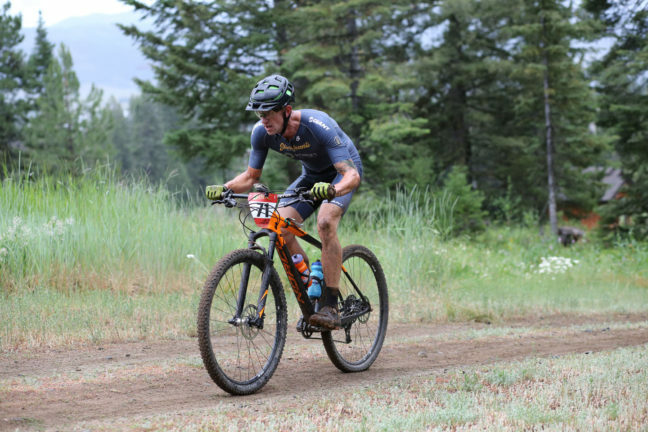 Gary Kyle finished 13th in Cat2 40-49 and 35th overall in the Cat2 race. Jason Rose finished 2nd in Cat3 40-49 and 10th overall in the Cat3 race. Scott Cooper finished 3rd in Cat3 40-49 and 11th overall in the Cat3 race. James Mcniff (aka Shred) finished 3rd in Cat3 19-29 and 22nd overall in the Cat3 race. Jennifer Cox finished 3rd in Cat3 F30-39 and 24th overall in the Cat3 race. 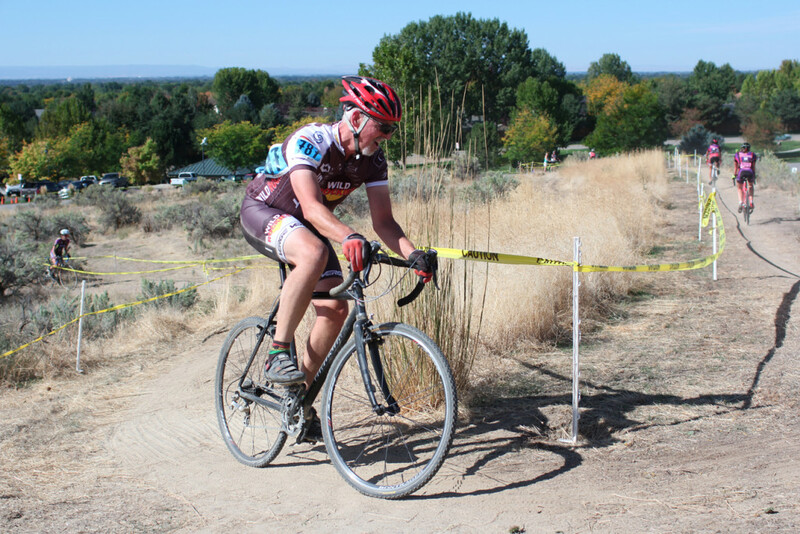 Chris Ford finished 1st in Cat3 50+ and 25th overall in the Cat3 race (3 seconds behind Jennifer). Keri Jerome finished 1st in Cat3 F19-29 and 36th overall in the Cat3 race. 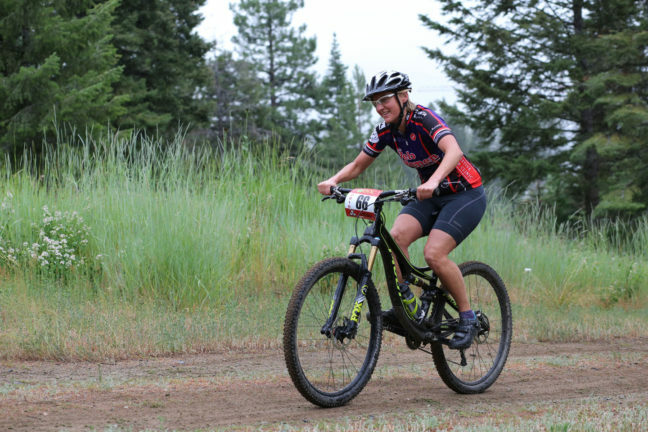 Pam Smart finished 4th in Cat3 F30-39 and 45th overall in the Cat3 race. 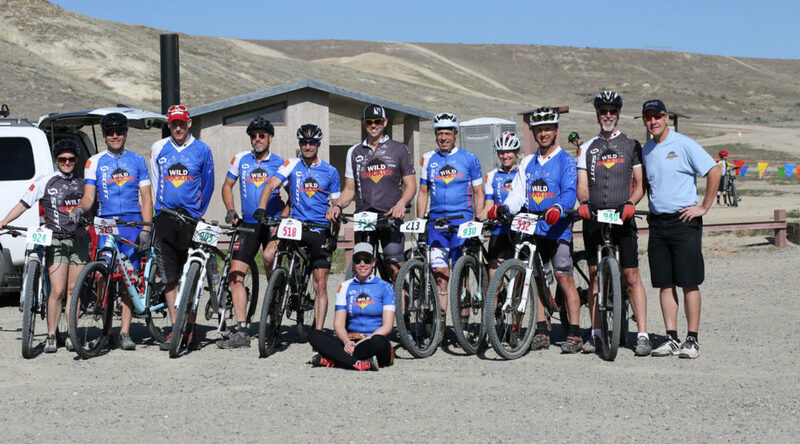 Photos of many of the WR Race Team representatives are included in the 20th Annual Barking Spider Photo Galleries (i.e., click on the “Photo Galleries” main menu item). 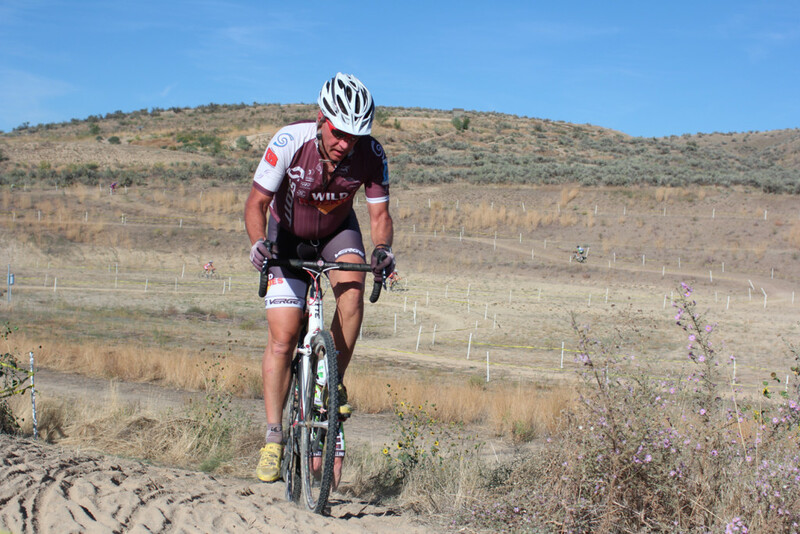 Apologies for those not included, but Michele had new camera with improperly adjusted Auto-Focus settings (i.e., the background sagebrush, rocks and barbedwire were in great focus, but riders were often blurry). The photographs included in this article were taken by Michele Swan. To see / copy the full resolution available in these “quarter resolution” images, click or tap the images to bring-up the attachment page, click or tap on the image size icon located between the image title / filename and the image (e.g., 1440×960), and then right click on the image to copy (on a PC). Instructions to purchase the full resolution photos are available at Fitness and Grace Photo. 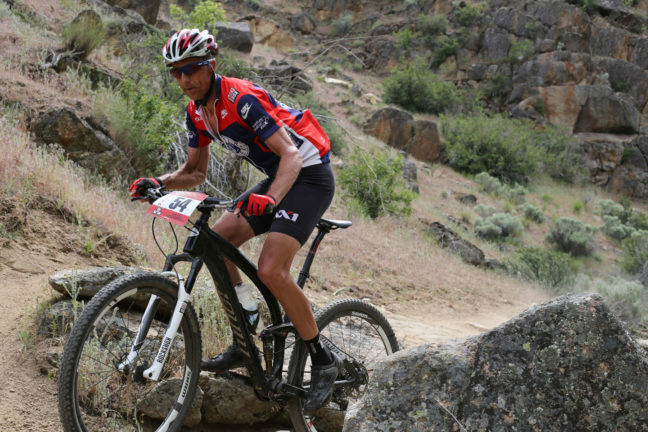 Congratulations to Wild Rockies Race Team Member Don Reiman for taking 8th place out of eleven in the M60-69 100K solo race. 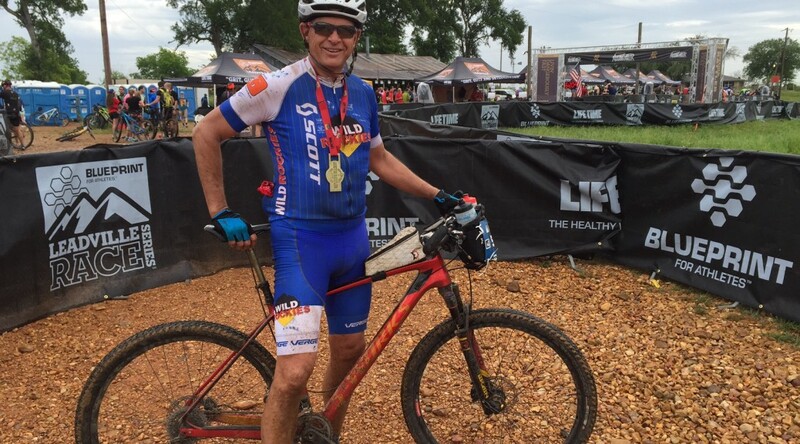 Don’s time of 6:06:56 is somewhat behind the M60-69 winning time of 4:45:35, but I believe this qualifies Don for the Leadville Trail 100 MtB (i.e., 100 miles). The overall first place finishing time was a blazing 3:47:09. 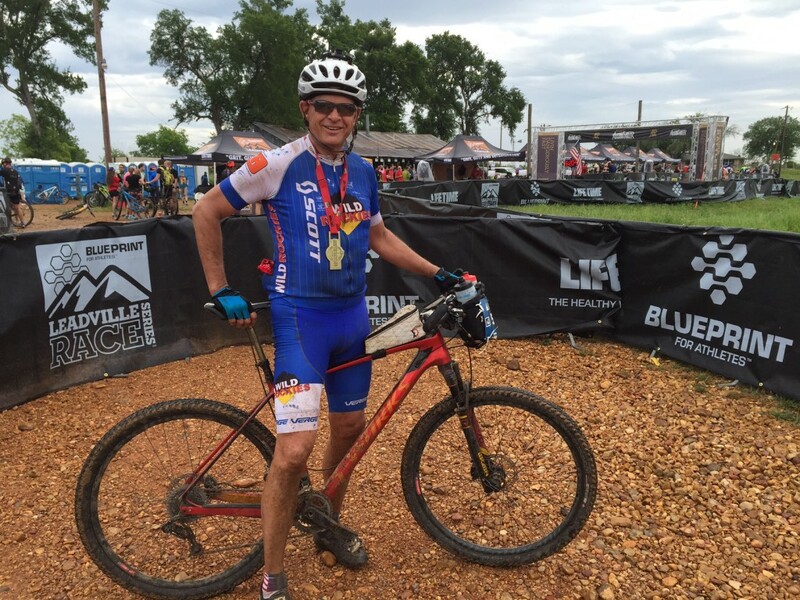 The Austin Rattler 100 was a great event with a rough course. The elevation gain ended up only being about 3500 feet. But the roughness of the course and tight single track through the trees required being on the pedals all the time. No chance to relax physically or mentally. I had a good ride physically but several challenges mechanically. Branch stuck in the rear cassette and derailleur, leaking back tire that I ended up having to put a tube in on the last lap. Both bottle cages vibrated loose at different times, and a dropped chain from hitting a big dip hard. Figure the challenges cost me about 20 minutes on time which dropped me from somewhere 3rd to 5th down to 8th in my age bracket. It is a great event with a fun and challenging course. I recommend it to anyone interested in endurance events. BEST NEWS! 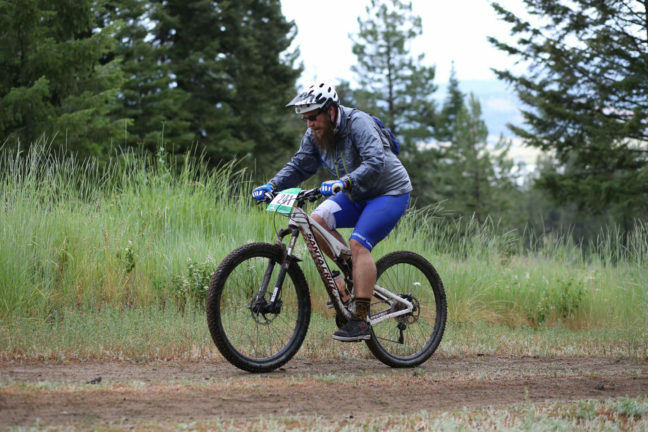 I was drawn in the post-race lottery and got a ticket to the 2016 Leadville 100 MTB. Click or tap the images to view the “attachment page”, and then click or tap the image size icon (e.g., 1632×1224) located between the image title / filename and the image to access the full resolution image. Set the web browser window to full screen and click or tap the image again to view the full resolution image, and then right click, double tap, or whatever your web browser supports to copy / save / download the image. 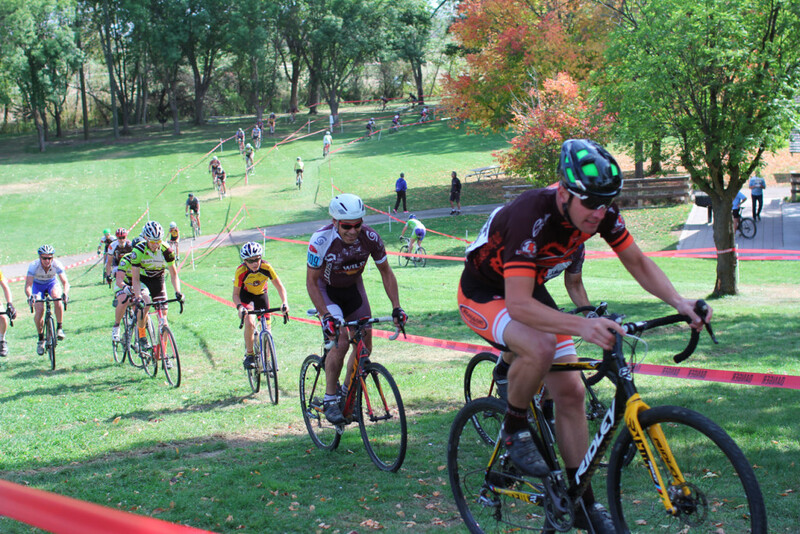 The weather and course conditions had been “crossy” during the preceding week, but the weather and course dried out for the October 24 & 25 inauguration of the 2015 SICX Series. The Saturday events were baked with low to mid-60F temperatures, and the Sunday events received a reprieve of ~10F cooler temperatures due to overcast conditions that prevailed until mid-afternoon. Both days saw breezy conditions that were strongest in the morning. The venue at Sandy Point State Park at the foot of the Lucky Peak reservoir is unique in that it sits in the Boise River watershed, refreshed with cooler air that spills over the dam, blanked with a thick layer of black topsoil that is found no where else in the Treasure Valley, and includes a diverse assortment of mature trees including hardwoods and native trees from across the state. These trees provide: ample opportunities for off-camber turns with “root roughness”; leaf fall to hide the roots and holes, as well as decrease traction; acorns to act as ball bearings on side hill cambers; beautiful Fall Color. The courses were ~97% grass and were essentially the same course, but run in the opposite direction. 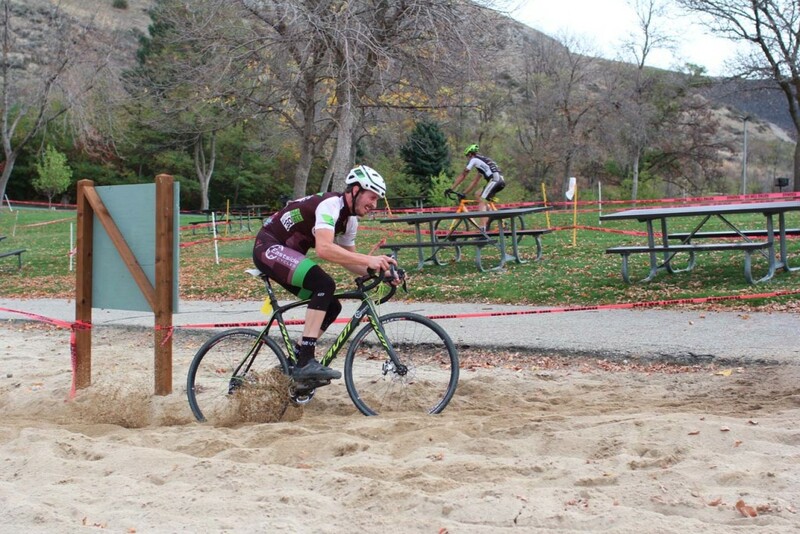 To my surprise, neither course included barriers, and it was possible for the better racers to complete the course with a single dismount / remount per lap. The park has adequate undulations that the course architect (Alex Phipps) was able to lay out a course that not only seemed like you were always going up or down hill, but often included turns that made it difficult to carry the downhill momentum. And there were ~50 turns, many of which were off-camber, side hill, decreasing radius, and the technical difficulty would have been high, if the course had been wet. As it was, the course tempted racers to take the turns a little “too hot”, and this led to some of the best racers laying their bikes down. 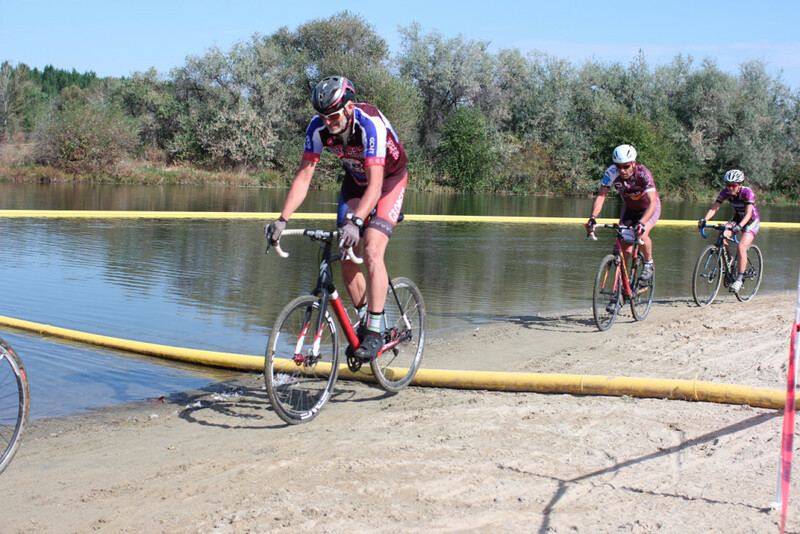 The lower flat section of the course was anything but a chance to catch your breath, as it included three deep sand volleyball pit crossings separated by a ~dozen turns including 90 and 180 degree turns at the entrances and / or exits of the pits. These pits are bordered with a ~foot high berm that encouraged face plants upon entry and bogging down upon exit. The deep rut was the fastest line through the pits, but the drop from the berms into the increasingly deeper ruts demanded expertise. 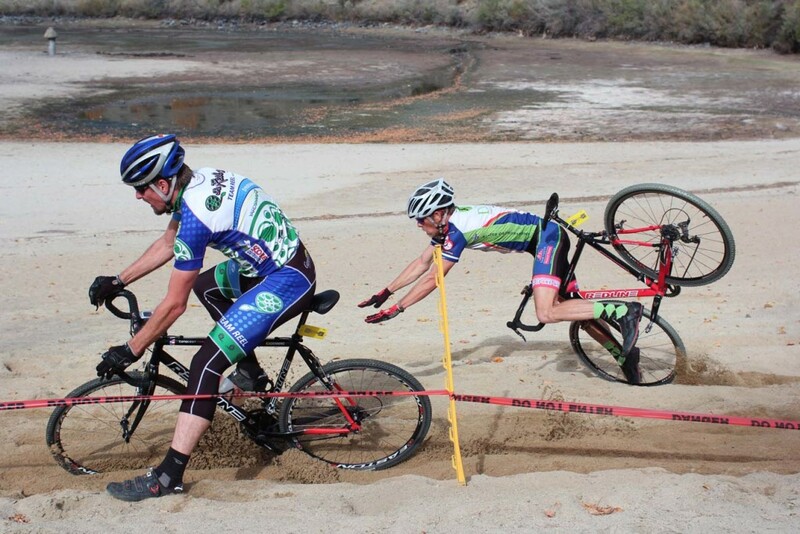 The courses were ~1% deep sand. In addition to the deep sand volleyball pits, there was a deep sand beach run each day. The Saturday beach run was shorter than the Sunday beach run, and there were a few racers on Saturday that were able ride the beach. 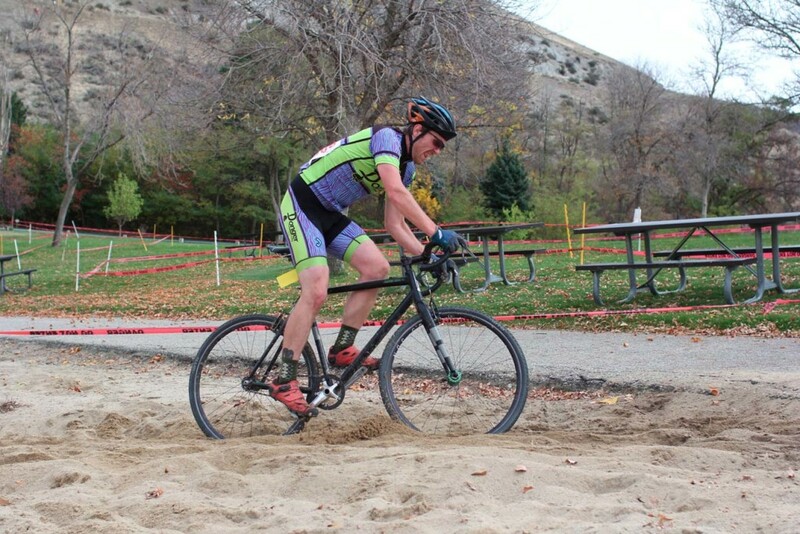 Interestingly, it was the middle of the field Cat3 racers who I saw ride the beach (Adam Karch, Andrew Shaber, Ryan Faber and Michael Shaw), not the Cat3 race leader (Andrew Harris), nor any of the Cat1/2 racers, so I suspect that running the beach was more efficient. Certainly, this was the case for the Sunday beach crossing, but the persistent Sunday hecklers were able to encourage some racers to attempt to ride the beach, and I saw one succeed (but I failed to notice who). One feature of the beach runs was downhill entrances bisected by an asphalt path crossing that tempted the racers to ride down into the deep sand rather than dismount before the asphalt path. This led to several inglorious dismounts on the beach. These courses provided plenty of cyclo-cross action without any barriers nor crossy conditions. 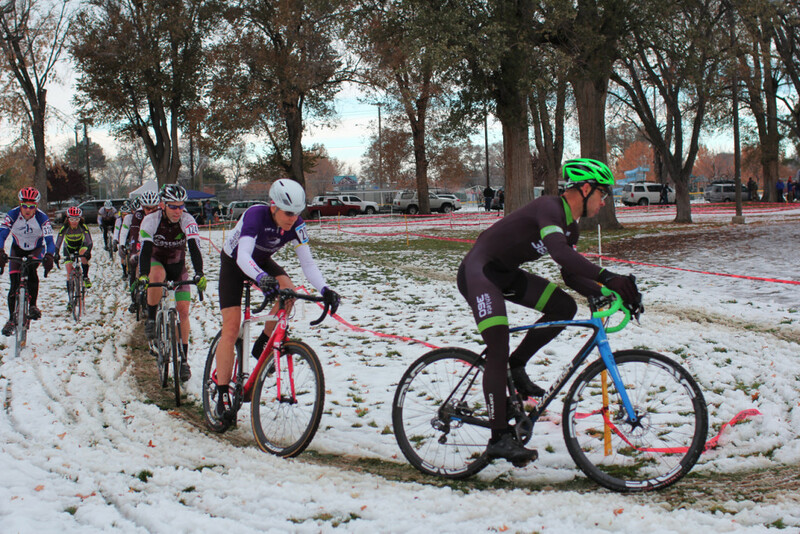 Note there will be two more cyclo-cross races at this same venue on December 12 & 13, SICX (#5) & (#6). The course and / or weather are likely to be “crossier”. The Wild Rockies Race Team was represented by Weston Wheat (Saturday and Sunday), Chris Ford (Saturday and Sunday), Fritz Stafford (Saturday and Sunday), Sara Lloyd (Saturday) and Allis Ottey (Saturday). 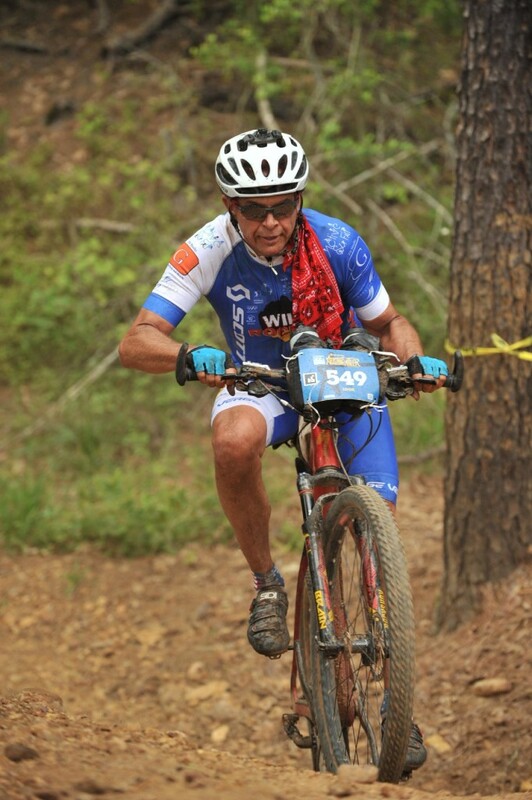 Westin finished 7th on Saturday and 5th on Sunday in the M55+ races. Chris finished 8th on Saturday and 8th on Sunday in the M55+ races. 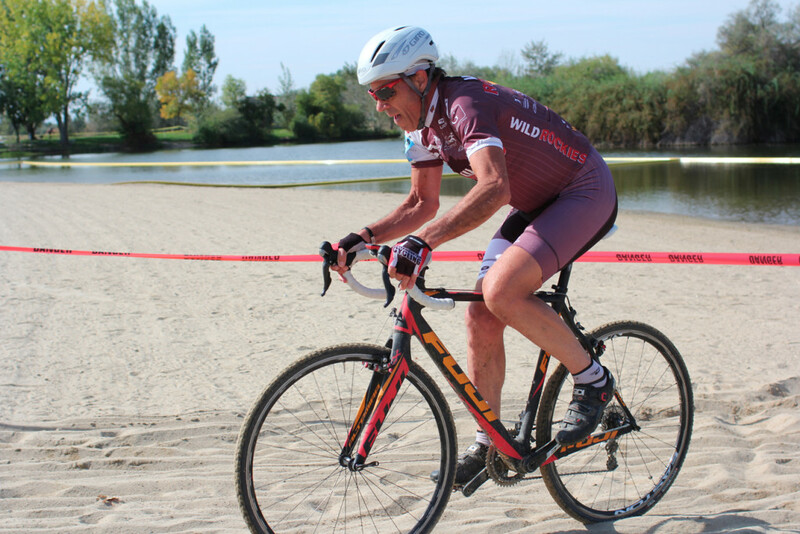 Fritz finished 5th on Saturday and 6th on Sunday in the M55+ races. 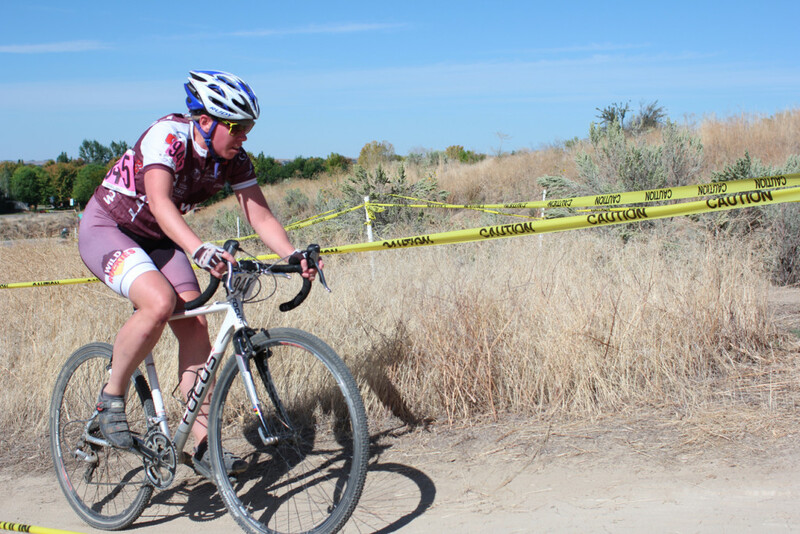 Sara finished 6th on Saturday in the Women’s Cat1/2 race. Allis DNF on Saturday in the Women’s Cat4 race. 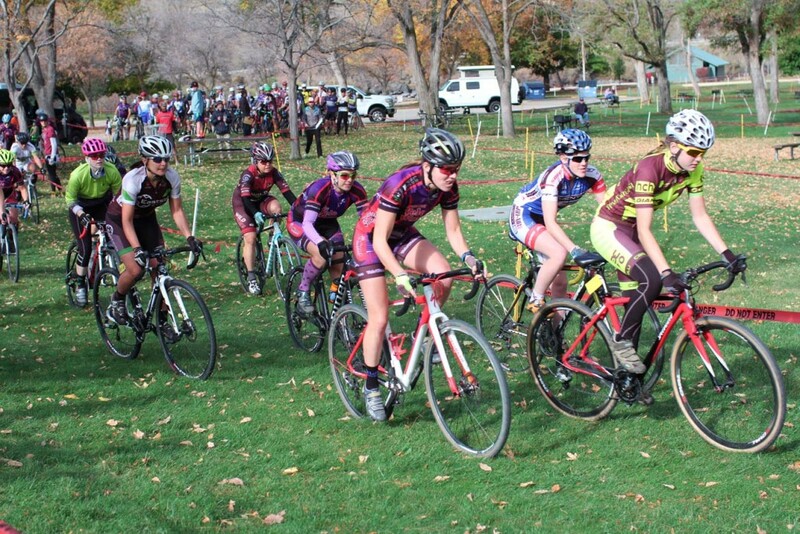 The Saturday races were well attended with 120 participants, including 32 women. There were 30 fewer participants on Sunday, but the M55+ race still included a strong field of 8 participants, down by one from Saturday. 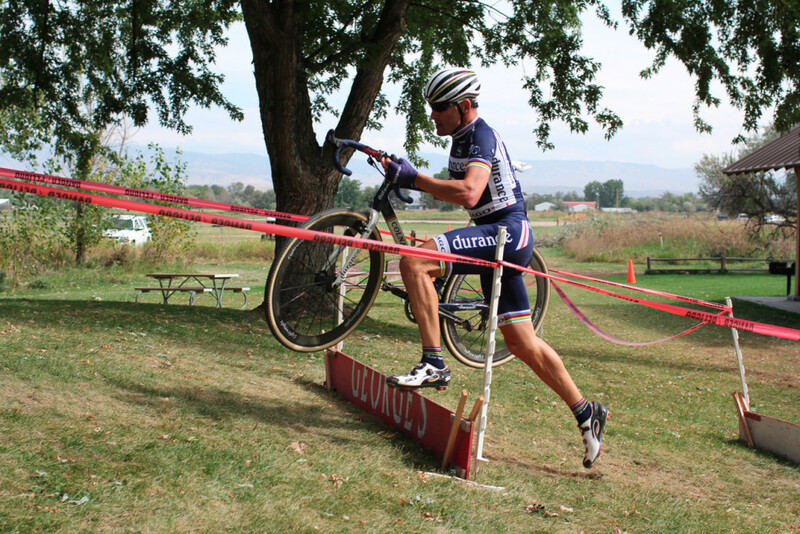 Barriers or Hurdles are a common feature in Cyclo-cross races, and they require several skills to negotiate efficiently: dismounting; steering and breaking while dismounting; carrying the bike; hurdling while carrying the bike; remounting. 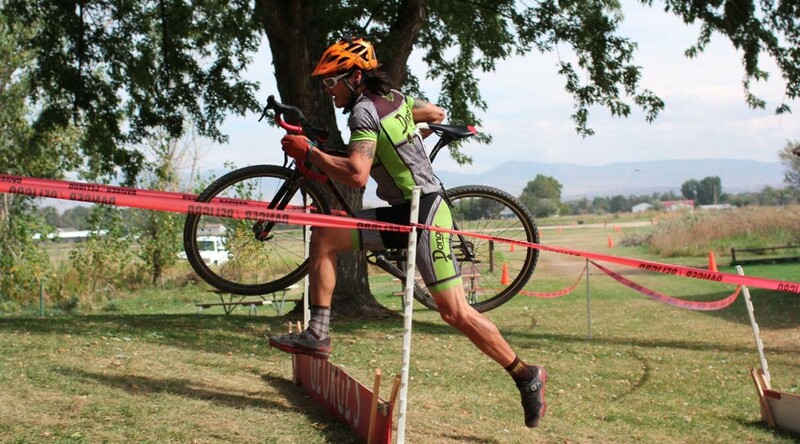 In some cases for the most skilled racers, it is possible to jump the barriers while mounted on the bike, and this always pleases the crowd, but it is risky. There is significant benefit gained when a skilled racer successfully jumps a barrier while mounted, but the benefits gained from multiple successful mounted jumps are more than negated by one unsuccessful mounted jump. 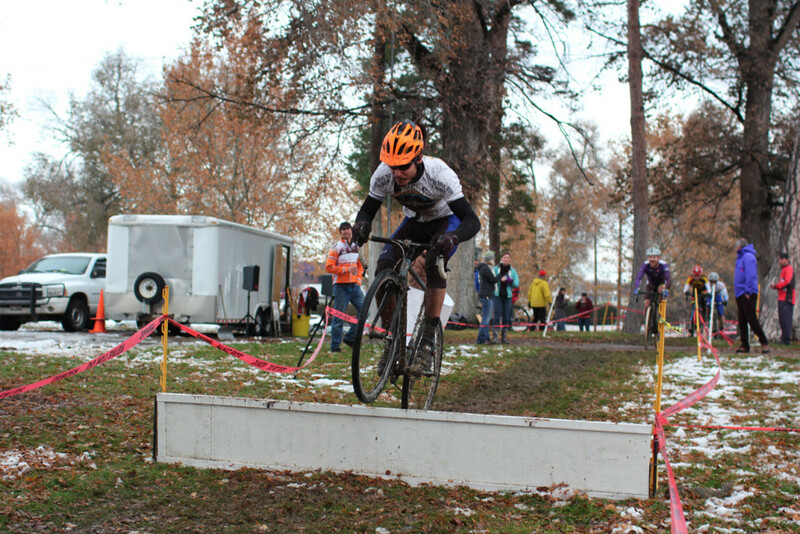 Barriers are allowed to be 40 cm high (15.75 inches), and it is popular in the local Boise CX races to use full legal height barriers to force the vast majority of racers to dismount and hurdle the barriers. 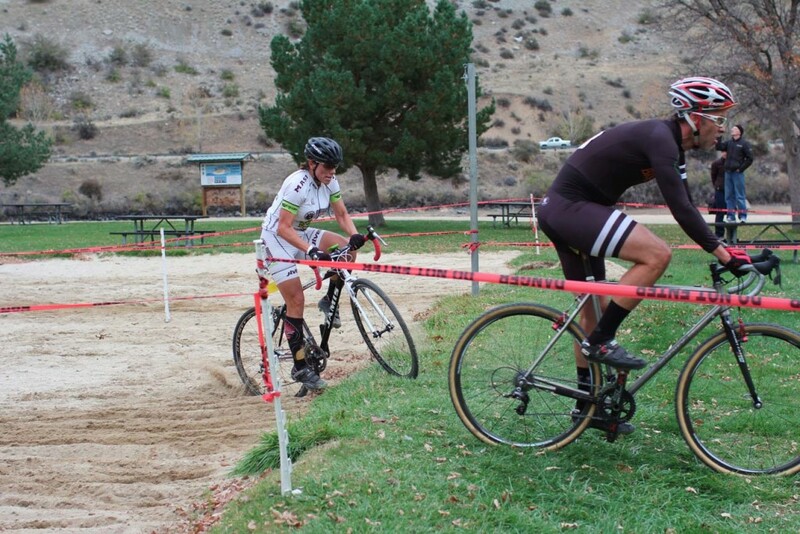 However, there are other approaches to force the racers off their bikes with smaller barriers (which may be fairer for smaller racers): usage of multiple barriers placed close together; placement of barriers immediately following a turn – especially a left turn; placement of (multiple) barriers on a hill, or with deep sand in the take-off and / or landing; etcetera. 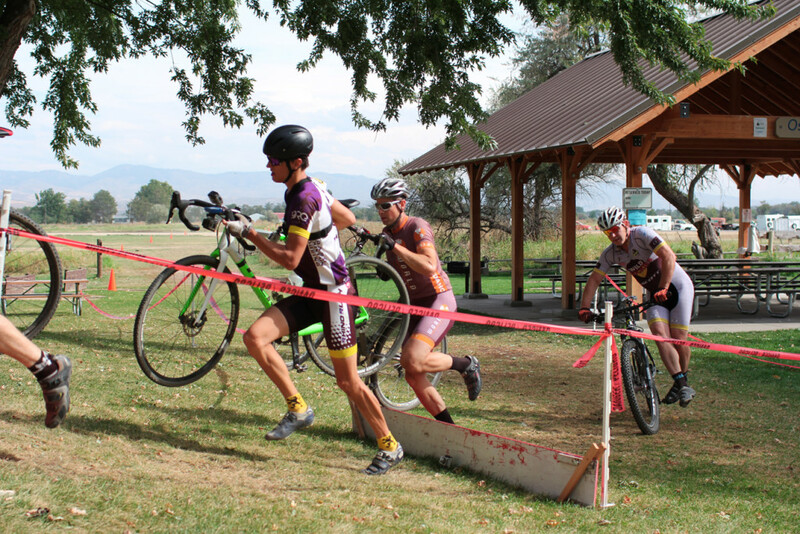 Three small barriers were utilized in the 2015 Eagle Island Cyclo-cross race. These barriers were placed close together on a small hill immediately following a 90 degrees right turn, and nobody attempted to jump them while mounted. I heard racers say after the race that they would have tried to jump the barriers while mounted, if there had only been two, but such talk is cheap. 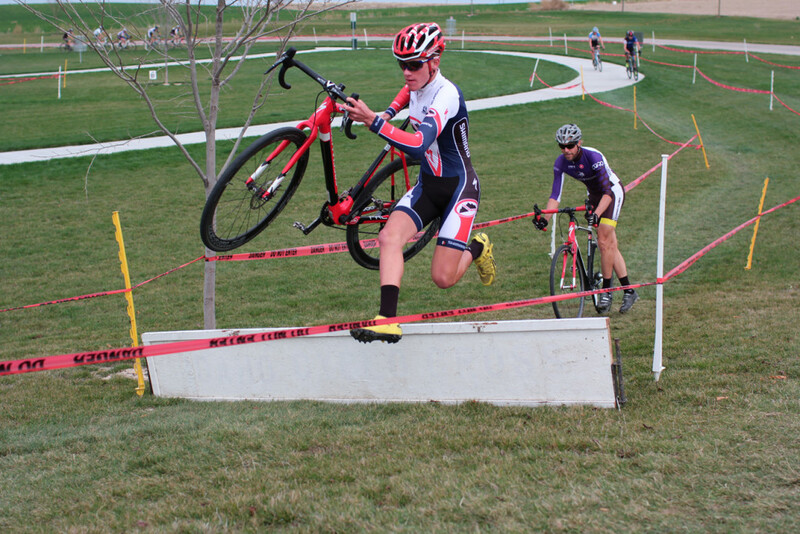 Local racer Damien Salerno is known for his barrier mounted jumping skills, but the following series of photos show that Damien is also very skilled at hurdling the barriers. If you study the photos closely, you will observe that Damien only took two steps between the first and second barriers and another two steps between the second and third barriers. The photographs included in this article were taken by Fritz Stafford. To see / copy the full resolution available in these “quarter resolution” images, click or tap the images to bring-up the attachment page, click or tap on the image magnifier located between the image title / filename and the image, and then right click on the image to copy (on a PC). Instructions to purchase the full resolution photos are available at Fitness and Grace Photo. 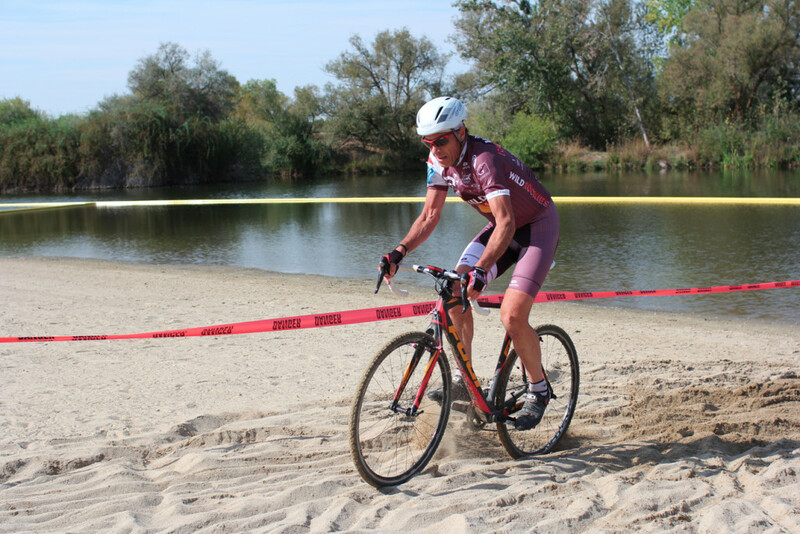 The 2015 Eagle Island Cyclocross Race was the 13th annual edition of the longest running cyclocross race in the region. 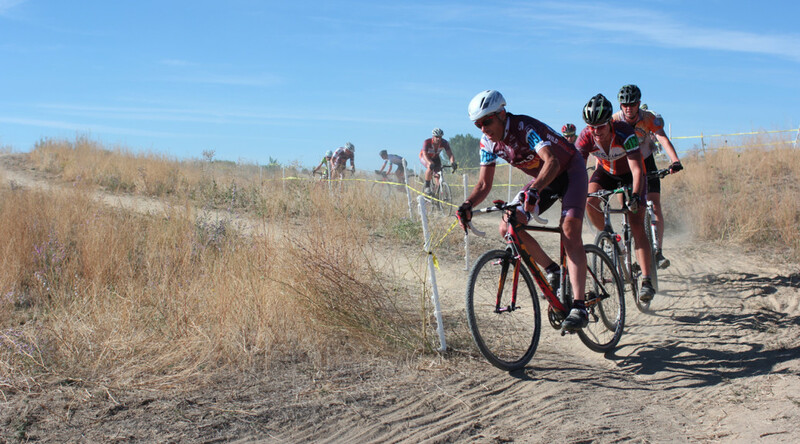 Over the years, the Treasure Valley Cycling Club race promoter had dialed-in the course to the State Park, so most participants thought they had a good feel for what to expect from the course. To everybody’s surprise, the Park arranged to bring in a crane during the race to string their new zip line feature, and this forced last minute re-routing of much of the course. This re-routing removed one of the three technical features (the slippery railroad tie stairway run-up), and a straight dirt road and straight pavement detour by-passed the scenic Back-end turns segment (including some turns in new terrain that were supposed to be the new addition to this year’s course). Luckily, there was enough of a West wind that drafting was significant on the detour. Several people pointed out that even though drafting is typically not significant on our local cyclocross courses, it is often significant on European courses. 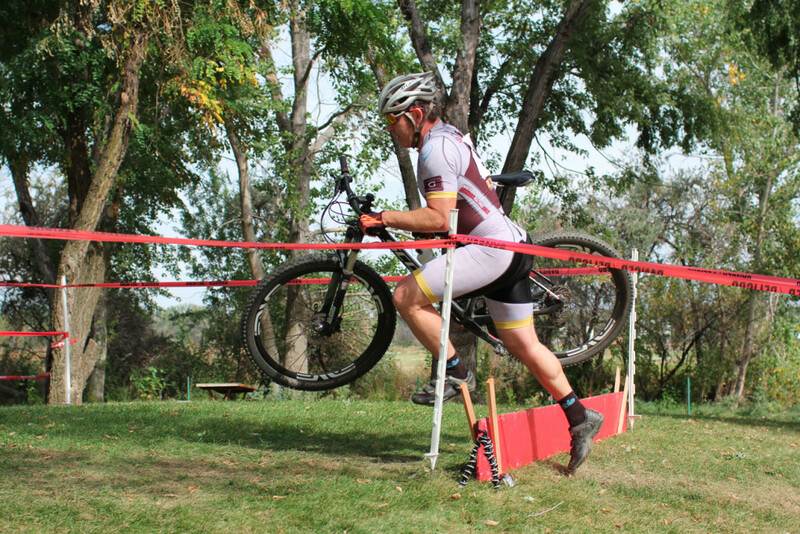 The character of the re-routed course with zero run-ups was significantly different from last week’s very difficult Wafflecross (#1) course with multiple run-ups (including soft dirt run-ups), but the race results were not significantly different. 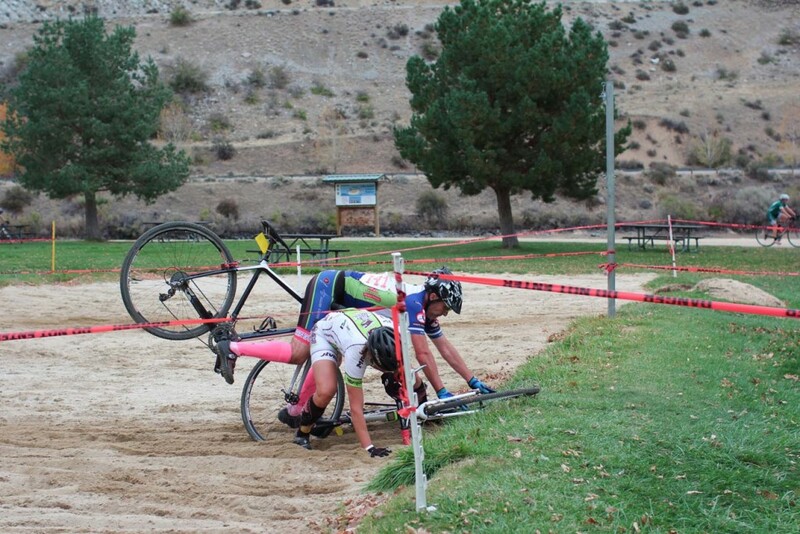 There was still enough cyclocross in the course. The Autumn ambience in the park together with the mid-60F degrees and 10-15mph west wind weather was delightful, and although not “crossy”, it brought out more spectators. Wild Rockies Race Team was represented by Darren in the Men’s Cat1/2/3 race, Chris Ford and Fritz in the Men’s Cat4/5 race, and Allis in the Women’s Cat3/4. Flats were a problem for the WR Race Team and many others, as the dirt areas bounding the parking lots are prime Goat Head habitat. I know that as a result, there are a number of new tubeless tire converts. Darren was among several tubular tire users that found Stan’s sealant does not work as well in tubular tires as in a pure tubeless set-up. 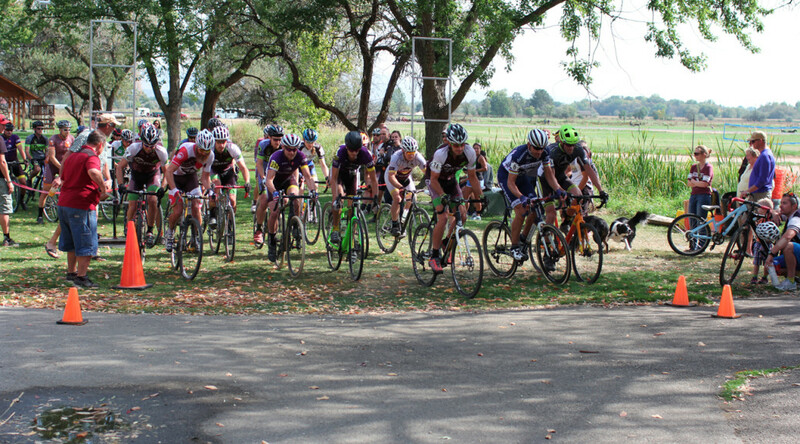 Chris, Fritz and Allis rode in the early race (Cat4/5 Men, Cat3/4 Women, Masters45+ – the oldest Masters category). The following photo shows Fritz midway up the steep climb out of the Front section of the course on lap1 (the second climb on the course) with Chris six riders back on the bottom of the climb. The two Front section climbs together with the intervening section of side-hill off-camber turns covered with leaf fall provided ample opportunities for separation. The race leaders in the early race and many of the racers in the late race (Men Cat1/2/3, Masters35+, Women Cat1/2) took the Front section exit climb at a pace that made it look like the rest of us were moving barely fast enough to keep from falling over. 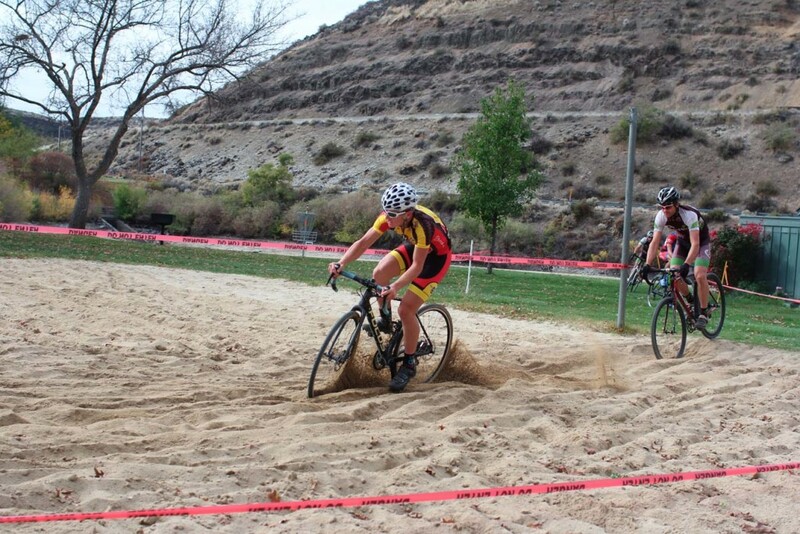 The descent from this climb led to the Sandy Beach section of the course. 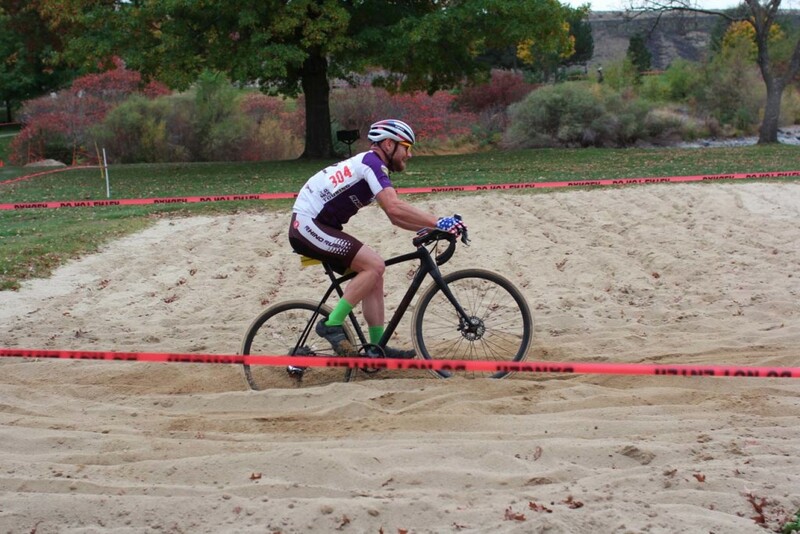 The rolling turns that led into the Sand segment culminated with a severe off-camber wet / muddy turn that demanded caution. The Sand segment began with ~50 meters of deep sand followed by ~75 meters of wet sand along the waters edge, and then came the 90 degrees turn in deep sand that led up across the beach. 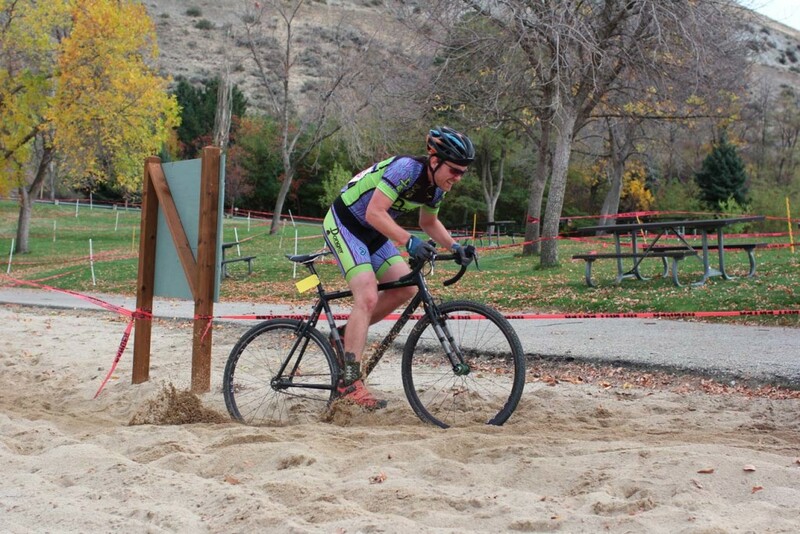 This deep sand turn un-mounted many of the less expert riders. 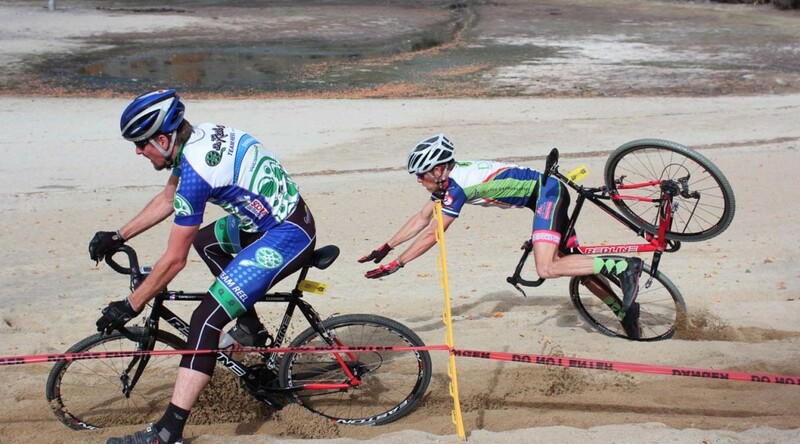 The following two photos show Fritz and Chris a few seconds apart on lap2 dealing with the six inch pipe that bisected the wet sand segment. 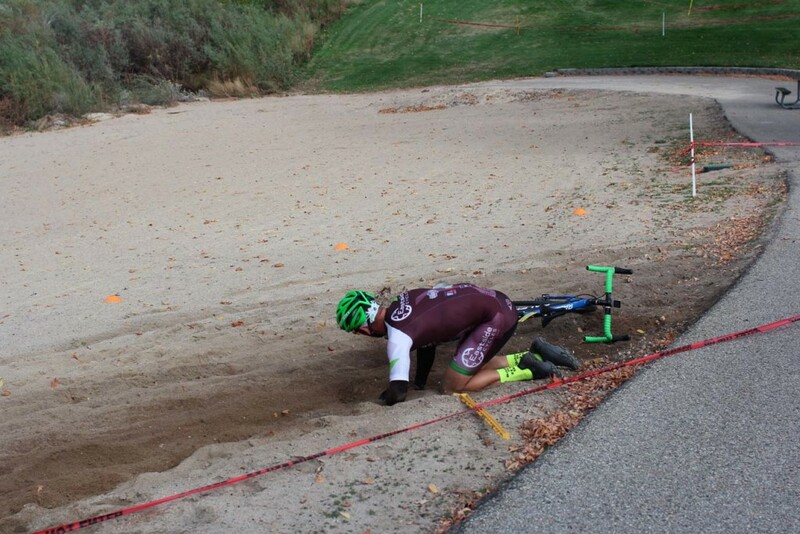 The next three photos show Fritz negotiating the energy sapping 90 degrees deep sand turn. 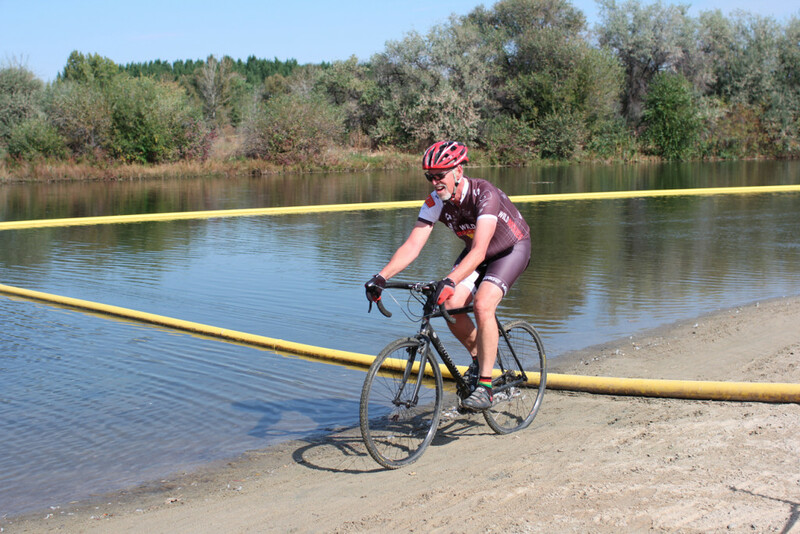 While the deep sand was difficult, it was easier to ride than last year. 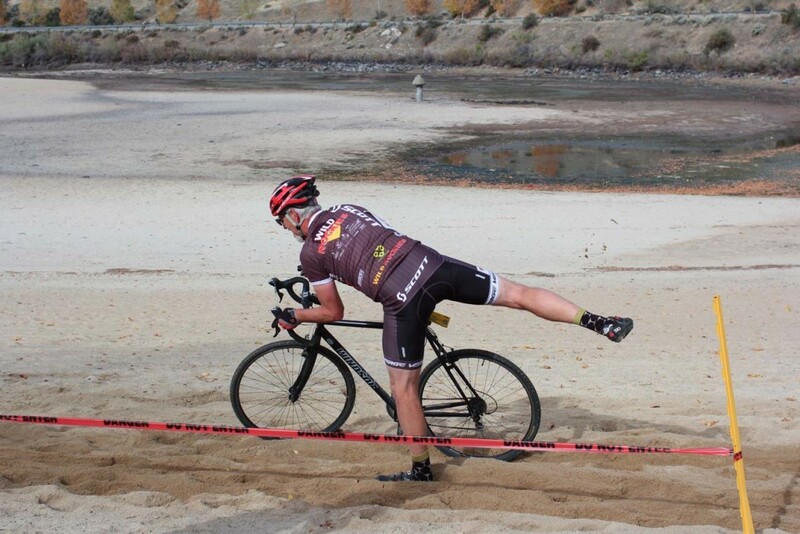 Of course, it takes even more energy and time for an un-mounted rider to cross the beach. Here is Allis, who like many, found themselves pushing their bikes through the deep sand. After the Sand segment, the Sandy Beach section concluded with a pair of 180 degrees grass turns followed by the slow wet grass segment that led to the fast rough dirt roadbed Backside section. The following photo shows Allis finishing the pair of 180 degrees grass turns that prevented riders from carrying speed into the slow wet grass segment. 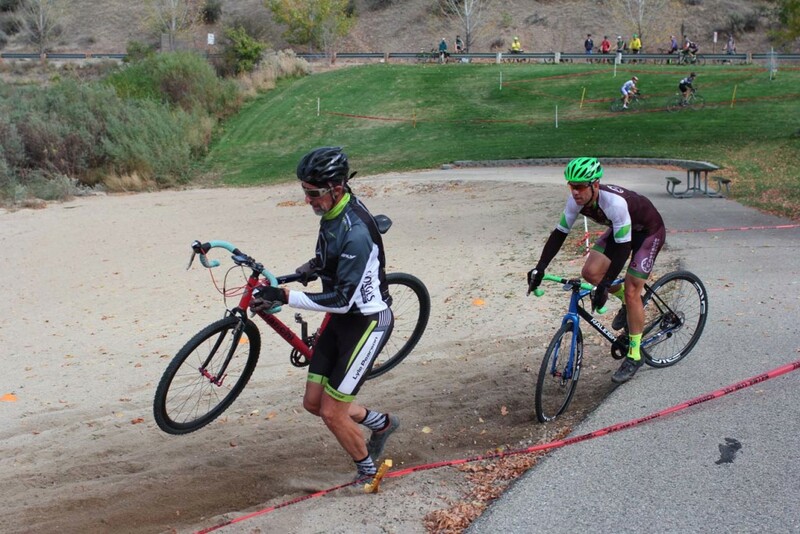 Chris and Fritz rode the lap2 Backside section together until Chris flatted out of the race on the Detour segment. Fritz went on to finish in the middle of the Men’s Cat4/5 field, 16th out of 30 finishers, and Allis finished 16th out of 18 finishers in the Women’s Cat3/4 field. The Cat1/2/3 Men’s field included several very strong contenders led by Richard Feldman (blue and white durance Colnago kit with World 45-49 Time Trial Champion arm and leg stripes in the following race start photo). Darren competed in this field (second row on the right), and he confided during warm-up that he expected the race to be “very tough”. 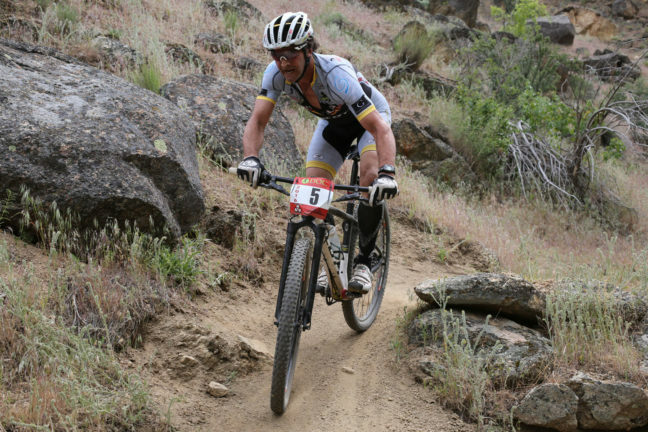 Unfortunately for Darren, he flatted on the Backside section of lap1 and lost several minutes before he was able to make it to the pit and switch to his spare mountain bike. 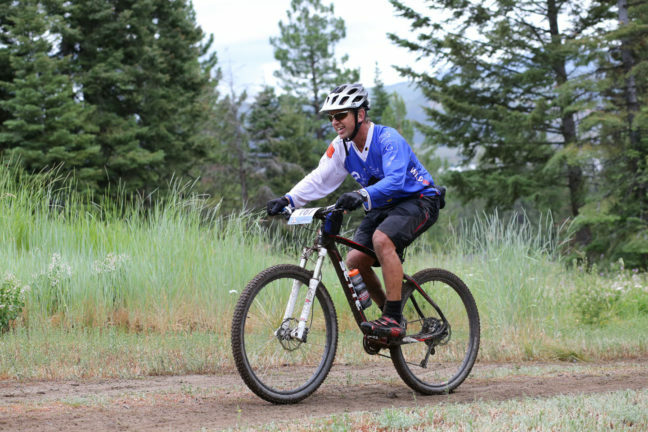 Darren rode strong for the duration of the race, but he was not able to close his lost time gap, somewhat hindered by his mountain bike. The Finale section of the course followed the Detour segment of the Backside section and featured a triple barrier climb up to the ~50 meter finish straight-away. These barriers were well under the full legal height, but they were placed close enough together on a short uphill immediately following a 90 degrees turn that nobody attempted to jump them. Darren finished last of the Cat1/2/3 finishers, but he appreciated the “great workout” and was anticipating upcoming cyclocross events, Crosstoberfest and Pine Creek. 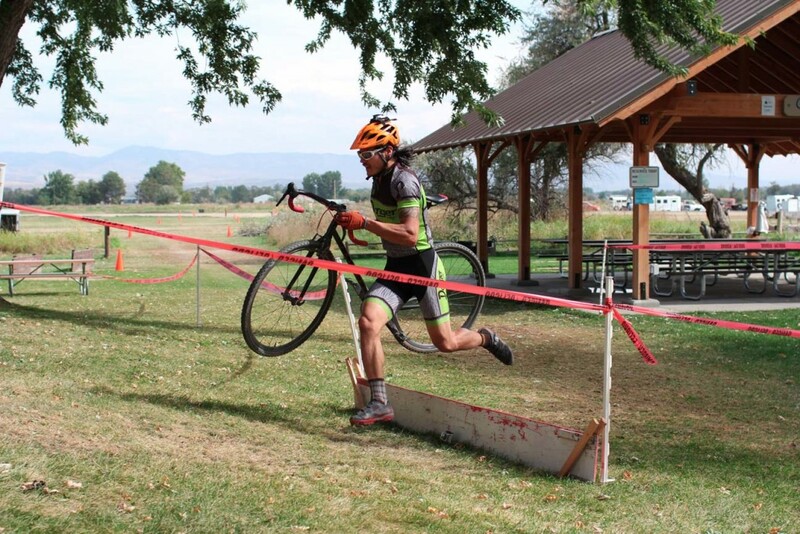 The local SW Idaho cyclocross season kicked-off with two races on 9/26/2015 & 9/27/2015, Idaho Wafflecross (#1) & (#2). Wild Rockies Race Team was represented at both races, and Weston and Fritz finished both races. 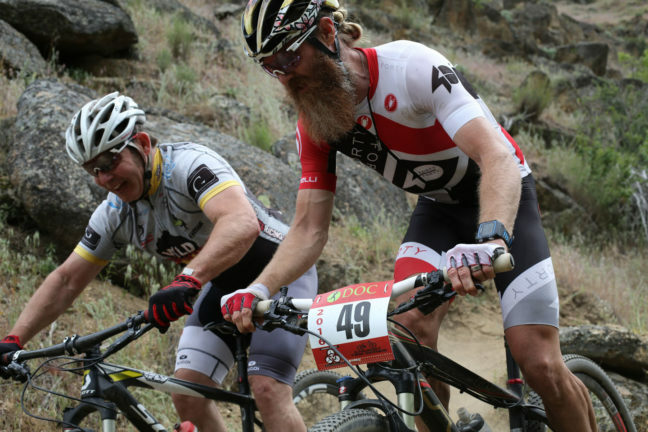 Allis, Chris Ford and Gary joined this “ageless duo” for Wafflecross (#2), and they also posted respectable finishes. 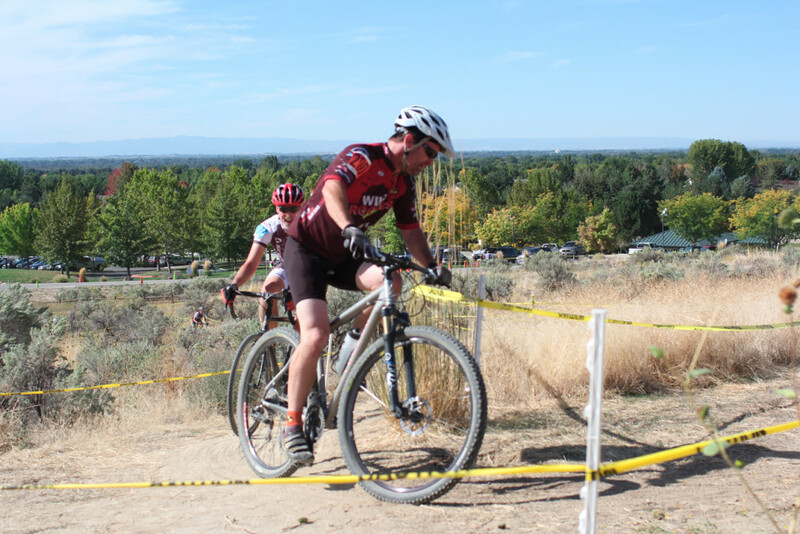 The venue for these races was the Eagle Bike Park, and the course included two loops, the grass section with a pair of full legal size barriers, and the dirt section with copious loose dirt challenges. The weather for Wafflecross (#1) was too nice with temperature in the upper 80F range, causing dehydration exhaustion in some. The weather for Wafflecross (#2) was more comfortable in the mid 70F range, but still far from “crossy”. The first cyclocross race of the season can be a shock to the system, unless you have had intense interval training leading up to the race. My body was not prepared for this level of intensity, and even though I had a good start, I was unable to hold my position after the loose dirt run-ups late in the first lap. I felt more comfortable and had a stronger performance on the second day at Wafflecross (#2). The Wafflecross (#1) course was the most difficult I have seen. The pair of full legal height barriers on the grass section were placed immediately following a downhill left turn that forced early breaking and dismount just prior to the steep climb up to the road crossing. The dirt section had a difficult loose dirt run-up over the “berm” immediately followed by a loose dirt descent into the railroad tie stair run-up. After a brief descent, there was a loose dirt turn that led into the next loose dirt ascent of the berm, and this together with the loose dirt side-hill “down and back up excursion” that immediately followed cost me huge amounts of time, as I did not have the strength / skill to ride this pair of features, and they turned into another double run-up. The Wafflecross (#2) course was roughly the Wafflecross (#1) course run in the opposite direction. The reversal of direction reduced the number of run-ups from four to one loose dirt run-up, and this is more on-par with cyclocross course difficulty I have experienced. 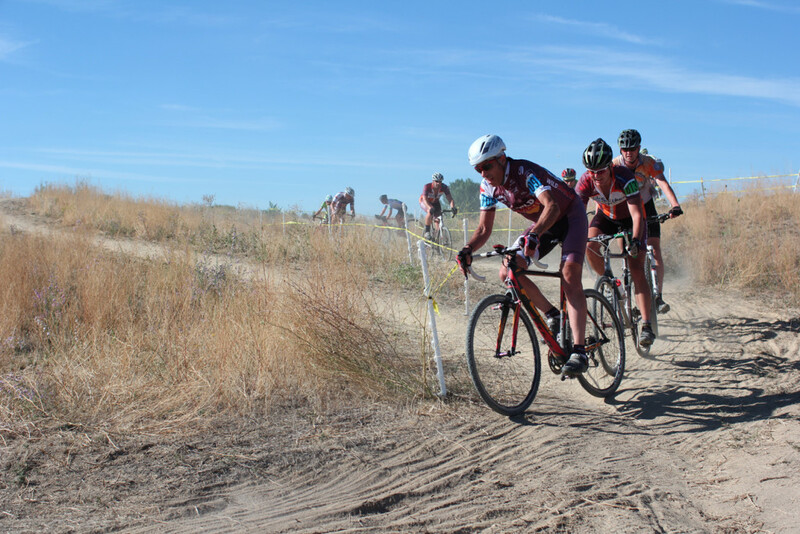 There was still plenty of loose dirt difficulties, and a climb was added to the course to accommodate running the grass section in the opposite direction. The following photographs were taken at the top of this climb. 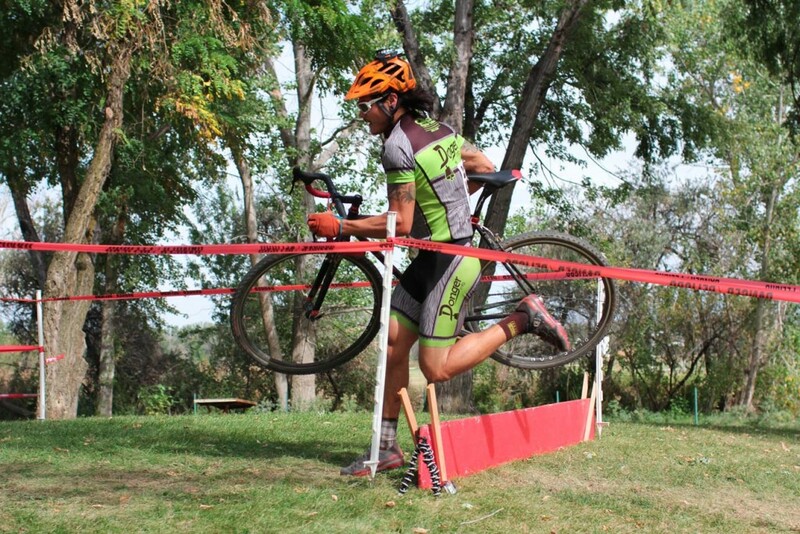 Weston had another great performance at Wafflecross (#2) and beat Fritz by 45 seconds. Weston took 4th place, Fritz took 5th place and Chris took a very respectable 6th place in the M55+ Wafflecross #2. Allis also took a very respectable 11th place in the Women’s Cat4 race. 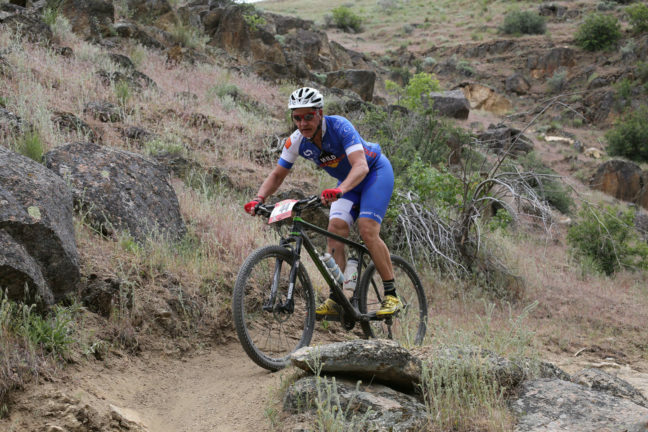 Gary took 14th place in a tough M35+ field, somewhat hindered by his mountain bike. The photographs included in this article were taken by Michele Swan. To see / copy the full resolution available in these “quarter resolution” images, click or tap the images to bring-up the attachment page, click or tap on the image magnifier located between the image title / filename and the image, and then right click on the image to copy (on a PC). Instructions to purchase the full resolution photos are available at Fitness and Grace Photo. 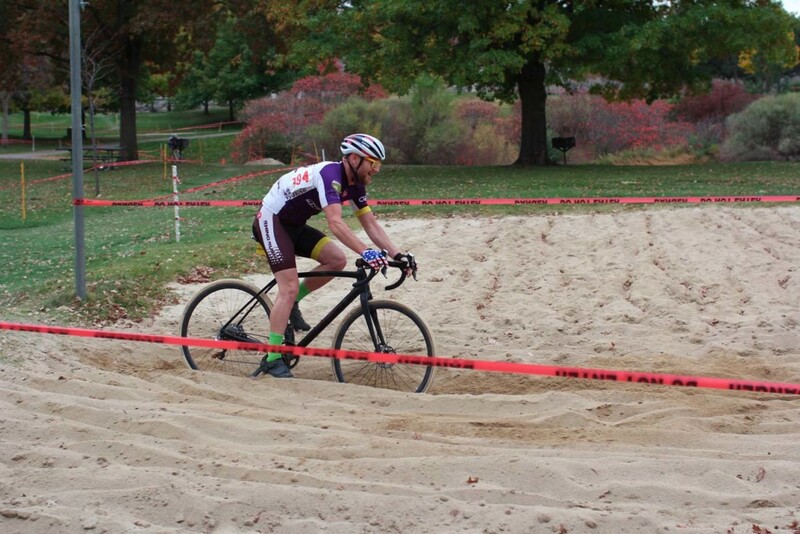 I decided to try cyclocross last Fall, primarily as a means to carry race fitness through the Fall and cut the off-season in half. I knew there exists some amount of fanaticism over cyclocross in some of the European low countries, but I thought this was a figment of European patriotism attempting to glorify their dreary Fall weather when little else was on the Sports Entertainment calendar. Since I already had 6 months of Cross Country and Road Race fitness, my cyclocross race preparations were minimal: procurement of cyclocross bike; outfitting it with tubeless cyclocross wheel set, eggbeater pedals (identical to those on my cross country bikes) and Garmin speed – cadence sensor; and attending two Boise Cyclocross Skills clinics. 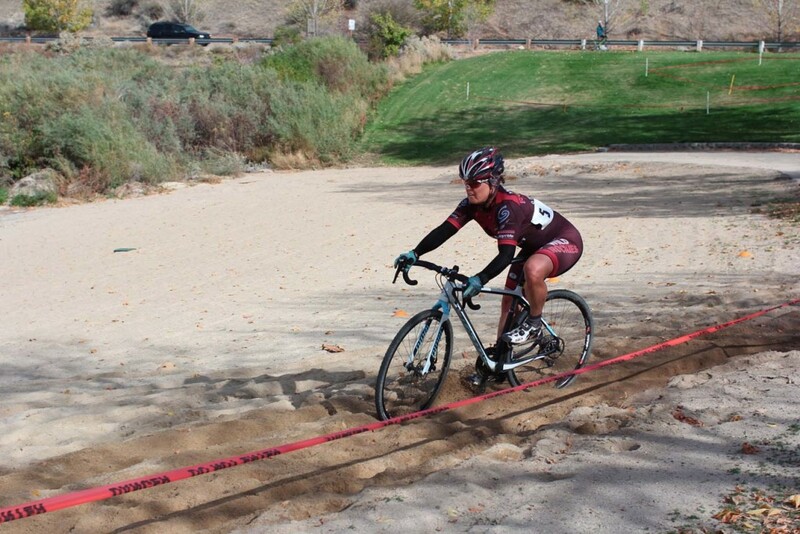 The local cyclocross race format combines all Women and Master Men categories in the same race (i.e., my category is M55+). 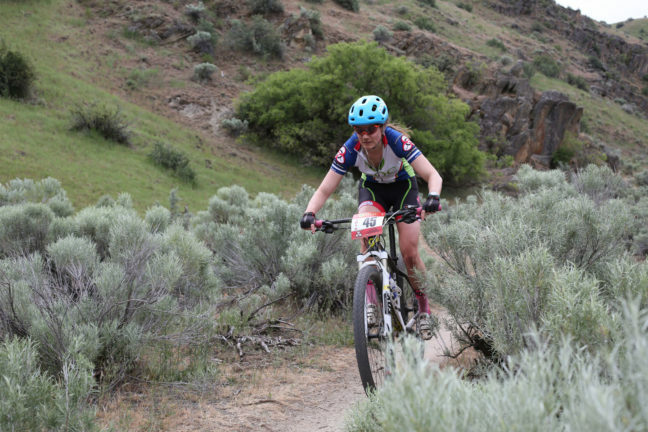 As I was ill-prepared, I found myself behind all the first lap bottlenecks and battling with a group of three Junior High School girl BYRDS to pass (Boise Young Rider Development Squad). As soon as I passed one of these riders, the other two would actively block in the technical features, and take advantage of my poor technical skills (especially re-mount / clip-in) to re-form their group ahead of me. It took half the race before I figured out how to pass this group. Even though I was badly “chicked” (i.e., beaten by Cat3/4 Women), at least I avoided being “baby BYRDed”. It had become clear that marginal fitness combined with marginal technical skills could beat good fitness combined with poor technical skills. In addition to my baby BYRD battles, I had several other encounters / battles on the race course, each being decided by technical features. After crossing the Finish and catching my breath from a 45 minute full-on effort, I found myself in a group of recent finishers who were all laughing and joking with each other over their battles, and there was little concern about race winners, individual placing. All were commenting about how much fun the race had been, and asking each other whether they will be at the next race. 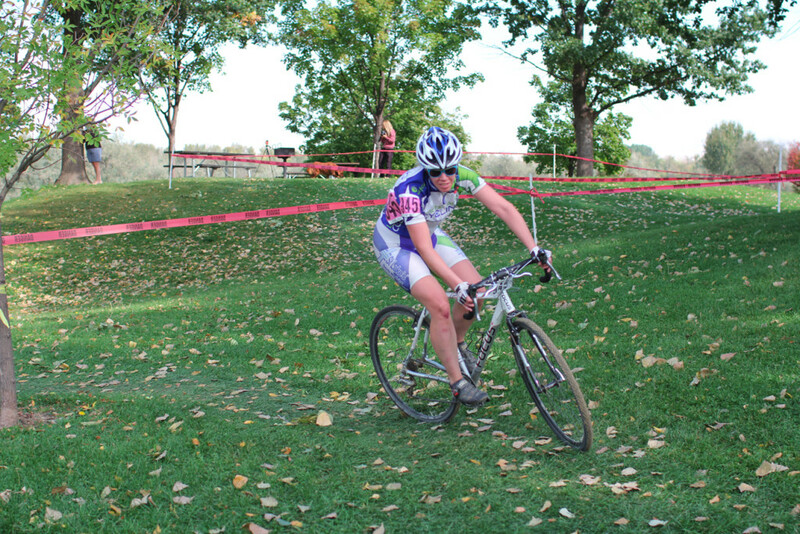 Cyclocross races are often held in municipal parks on surfaces that include grass, dirt, sand and interconnecting park pavement. The courses are often configured in a pseudo “figure eight” with the finish at the middle and the connection between the first and second loops being routed near the finish to provide the spectators two passes per lap. The center of the course often coincides with park restrooms, pavilion and / or parking lot lined with supporter awnings to provide some relief from the occasionally inclement / “crossy” weather, and the race promoters / directors typically arrange / provide modest hot food (waffles, cider, soup) to warm the spectators / riders from their exposure to the elements. Of course, the beer sponsor always has beer available by the end of the first race to enable recovery from dehydration. 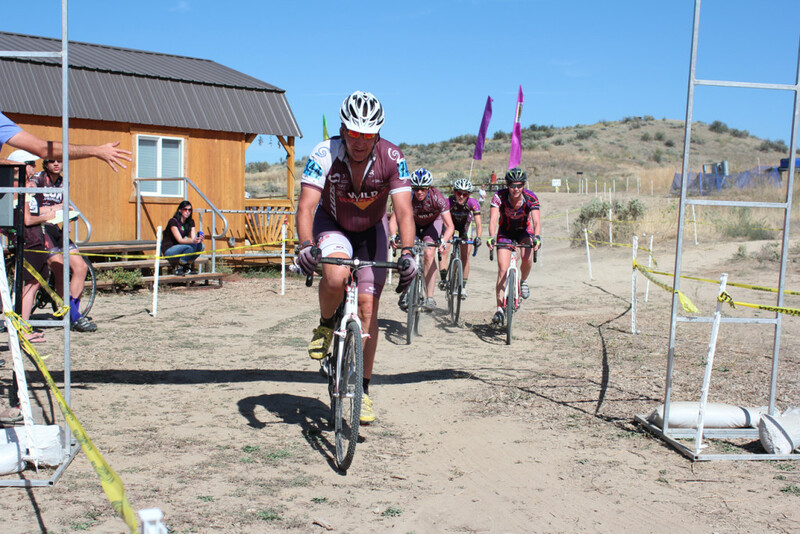 The race format typically includes at least three races: 45 minute Cat4/5 Men; 45 minute All Women and Masters Men; 60 minute Cat1/2/3 Men; and possibly kids / juniors / first timers race. 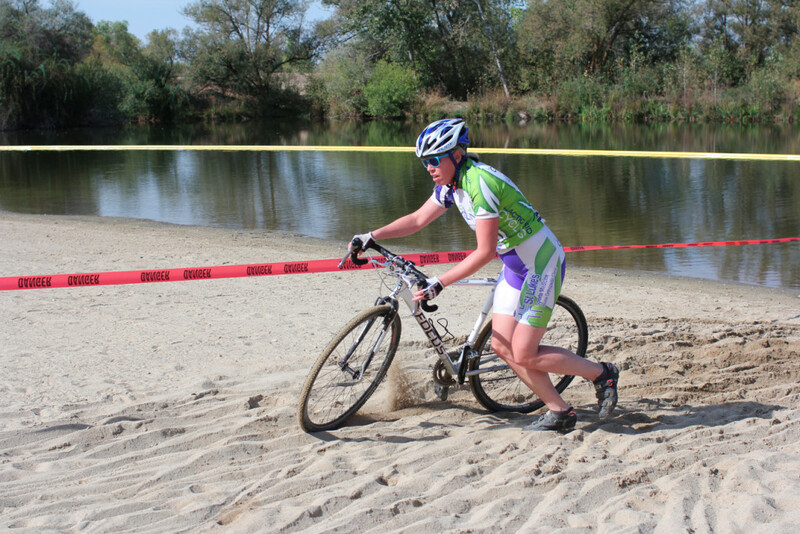 The race course is typically ~7-10 minutes long (depending on rider strength / skill), numerous technical turns are always included, various technical / strength features – some of which may be ride-able by the best riders – are also included (e.g., barriers / hurdles, sand volleyball courts / beaches, stairs / steep hill run-ups), and the course is often not available for review / pre-ride until ~1 hour before the first race. 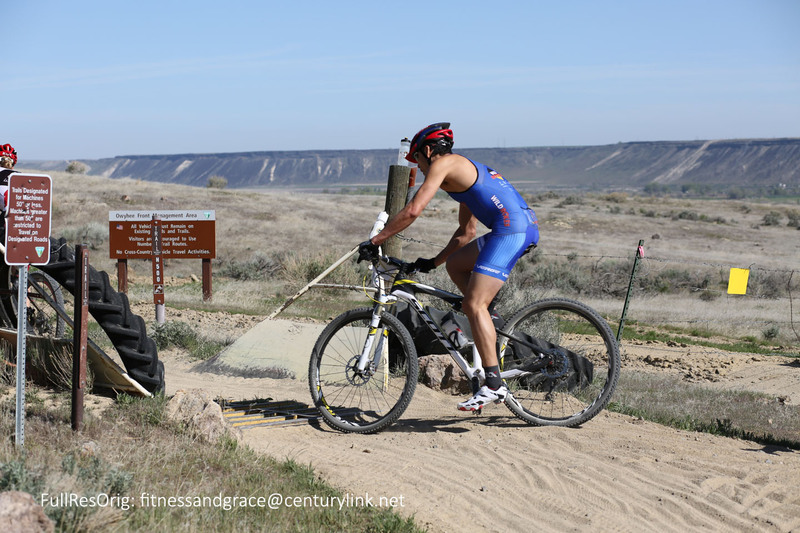 The beauty of the race venue and format is that it encourages riders and spectators to take-in all the races and socialize, rather than arrive / depart for their particular race. Cyclocross is catching on in the USA, but the fans are limited to the riders and their families and friends, and their behavior is somewhat restrained in comparison to European fans. In the European low countries, each community / region cherishes their day on the cyclocross calendar, and many of the locals turn-out to cheer their local riders against those of the neighboring communities / regions, sometimes rather disparagingly if they are not keeping pace. There is much festivity, traditional local attire, cowbells – occasionally with the “prettiest” cow attached, alpenhorns, yodeling, oompah brass bands, accordions, and of course the outlandish local icon costumes (these local icons are often mythical popular figures from >150 years ago prior to any photographs or recordings, so historical accuracy is not particularly relevant). 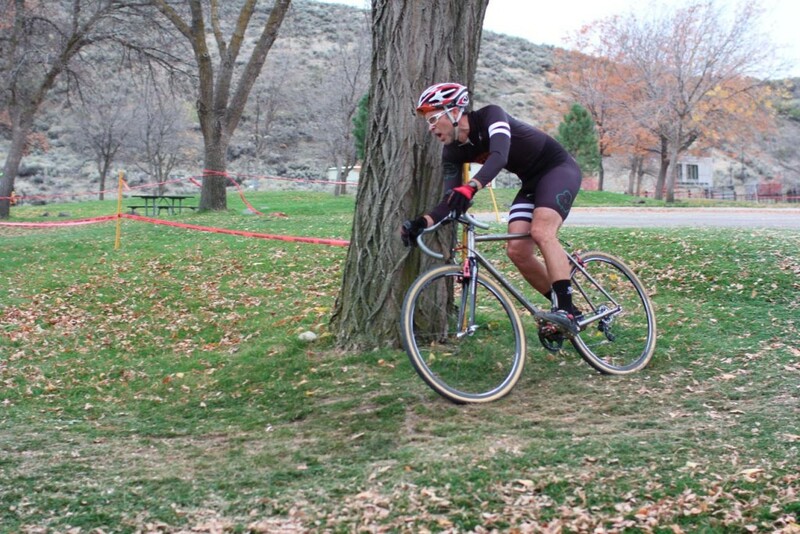 As I begin my second cyclocross season, I am practicing cyclocross skills as much as my 60 year old body will allow. I believe I have improved from “poor” to “marginal”, and I am now beginning to appreciate the ballet-like finesse of the skilled riders as they appear to glide over / up / through the technical features. All these riders have invested much in developing their cyclocross skills and fitness, and they all do it for the love of the sport and surrounding culture. There is no conceit. All the riders want to get to know you, follow your progress, grow the sport. 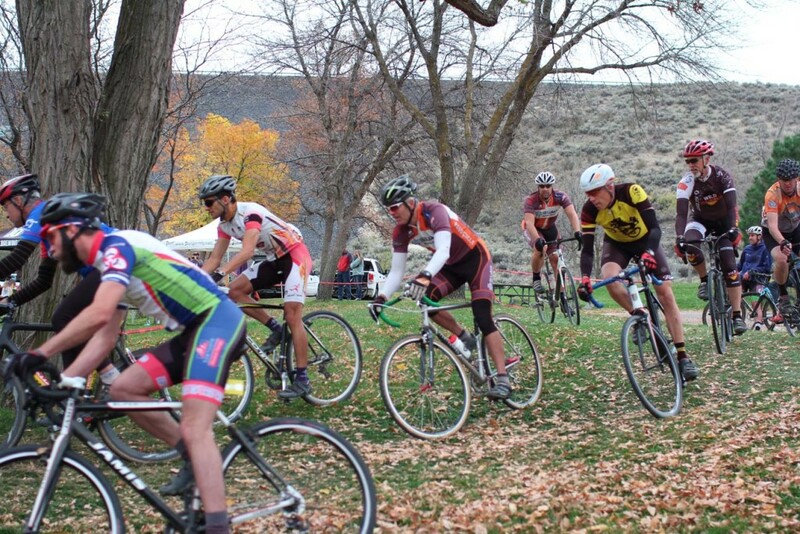 Cyclocross races are short in comparison to road races, but similar in length to criteriums and time trials, and much longer than track events. 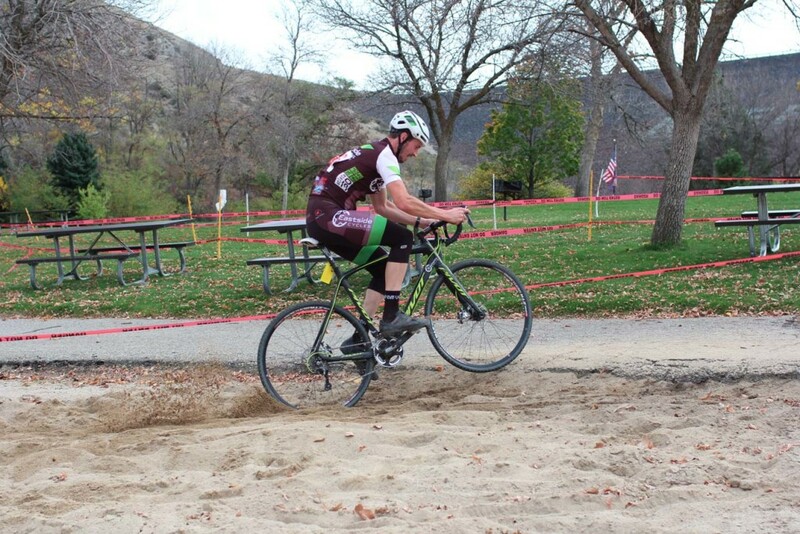 Cyclocross races are sometimes referred to as “grass criteriums”, but there is no significant drafting effect in cyclocross and no “sitting-in” for a “breather”. 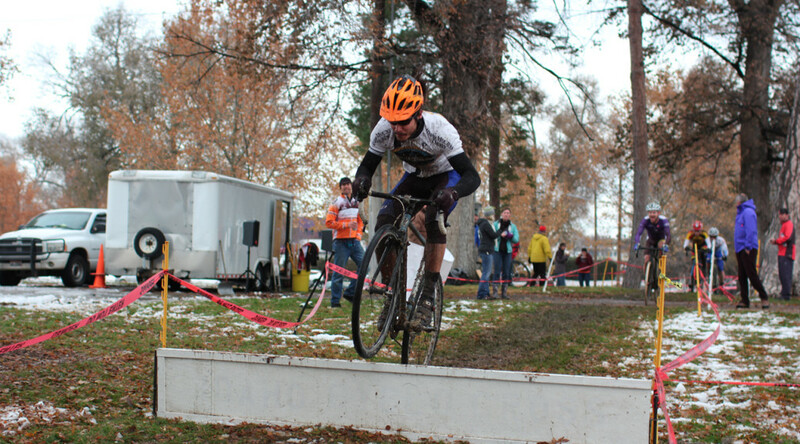 Cyclocross racers must go full-on for the entire event to contend, as in the time trial, but time trials do not include the technical aspects. 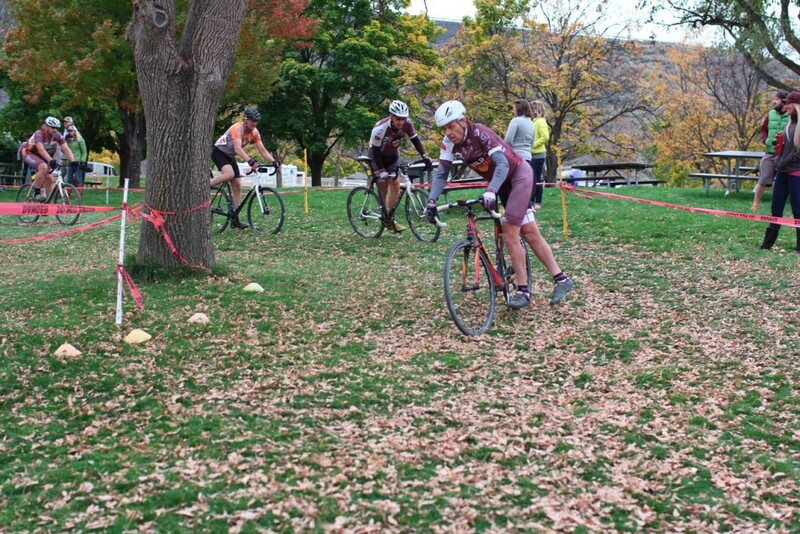 Another significant aspect of cyclocross is that the sprint is at the start of the race to avoid / minimize being caught behind the first lap bottlenecks, and this demands development of race start strategies / alternatives that are unique for each course. The first cyclocross race and / or the first race of the season can be daunting, as going full-on at ~100% of cardiovascular maximum for 45-60 minutes while consistently finding the fastest lines through innumerable technical turns and getting over / up / through dozens of technical features is not something most of us are able to replicate in training. However, I have found that even a 60 year old body adapts to this after the first race or two. 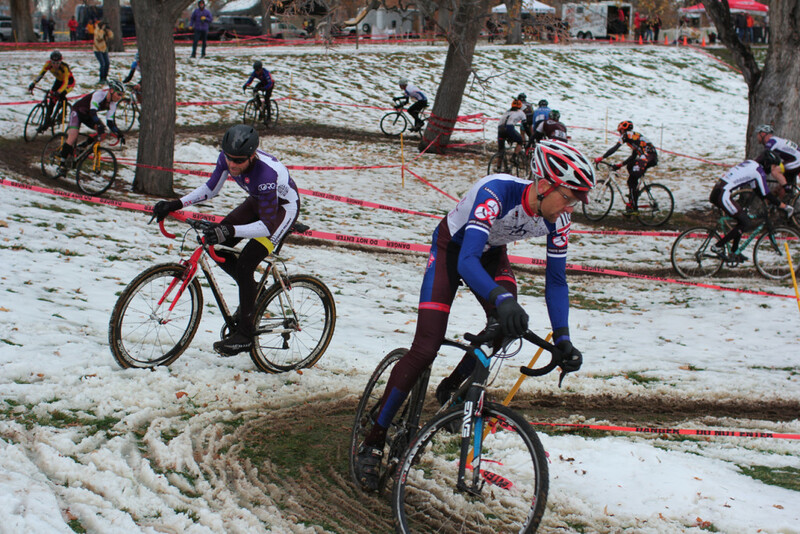 Cyclocross thrives on inclement weather, as this places even more emphasis on technical skills, and cyclocross is the only cycling discipline in which inclement “crossy” weather increases event participation. SW Idaho’s semi-arid climate prevents some cyclocross events from including the muddy conditions that are often featured in the European and Eastern USA cyclocross events, but we have an alternative, deep loose dusty anhydrous dirt (i.e., resists packing), and this actually broadens the range of course conditions we get to experience. 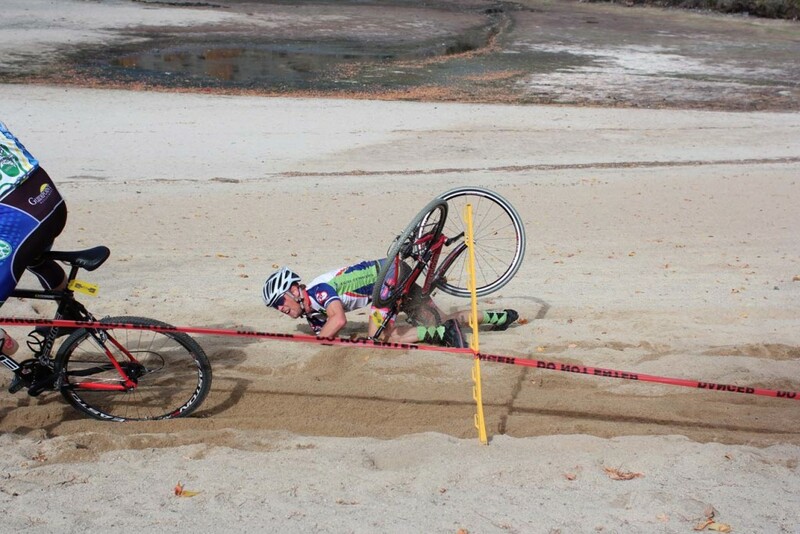 Falling in cyclocross is a common occurance, but these falls are akin to falling while skiing, rather than the painfull, injurious, equipment damaging crashes that occur on pavement. 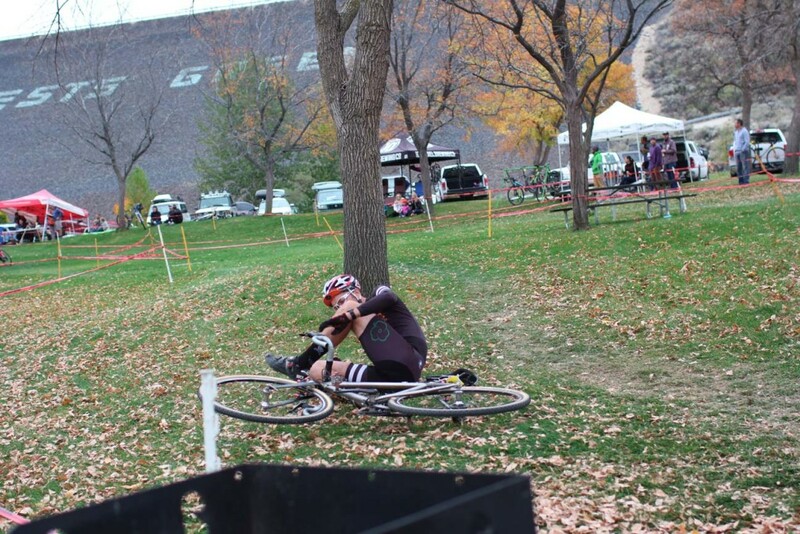 When you fall during a cyclocross event, it is more likely you will be subjected to heckling from your comrades, rather than pity. 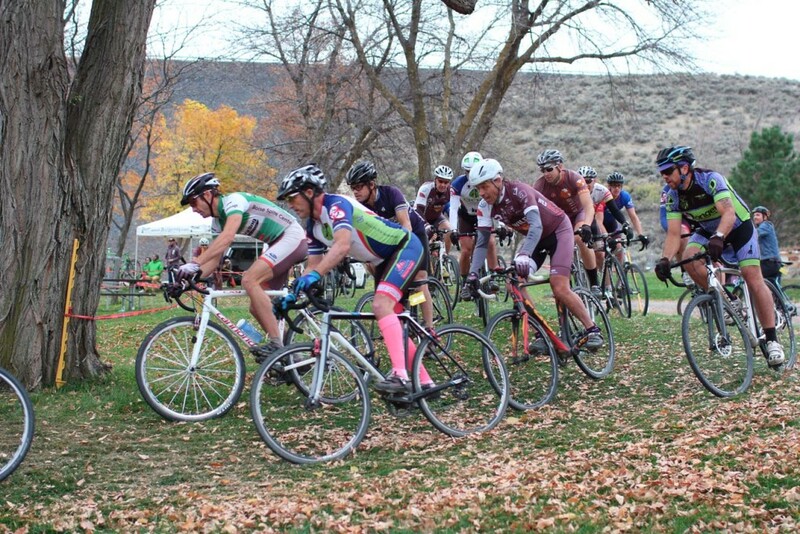 Cyclocross is certainly a unique cycling discipline, and any cycling discipline that commands such a dedicated following is great for all cycling disciplines. 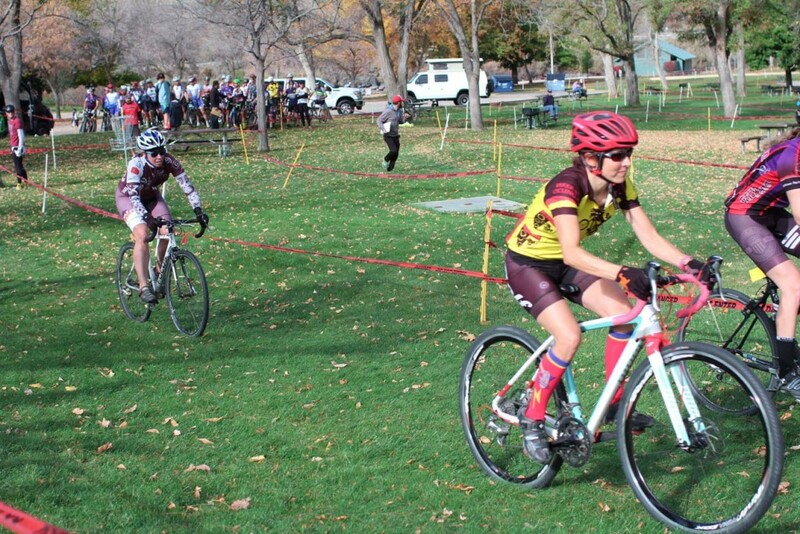 I do not know whether this is true elsewhere, but in SW Idaho cyclocross attracts a much larger proportion of female participants than any other cycling race discipline.